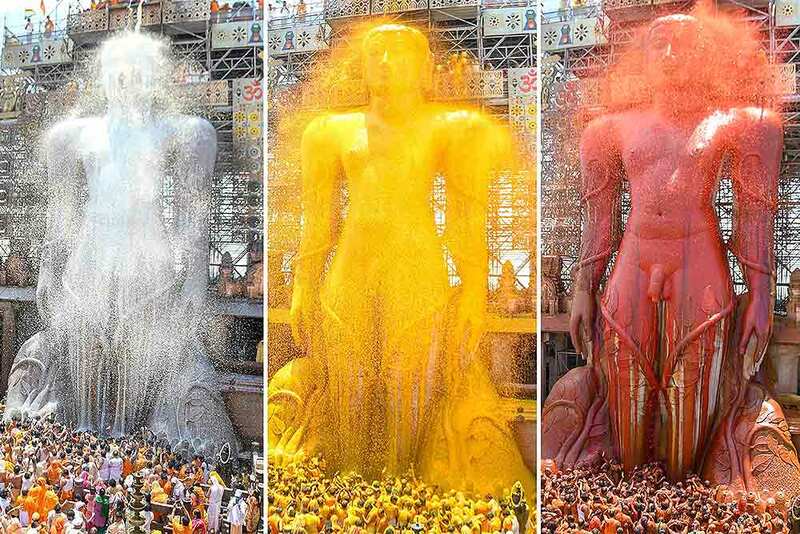 Jain devotees attend the Mahamastakabhisheka, the head anointing ceremony of the statue of Lord Gommateshwara Bahubali, at Shravanabelagola in Hassan district of Karnataka. 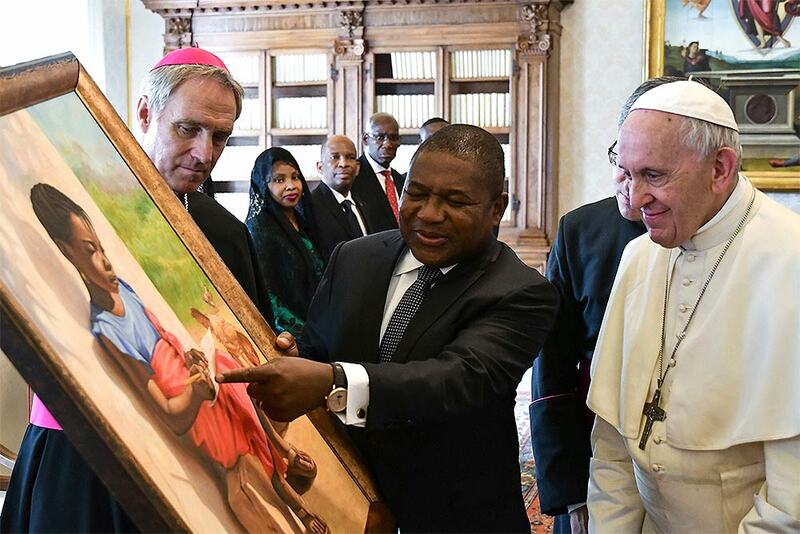 Pope Francis exchange gifts with Mozambique president Filipe Nyusi, as Prefect of the Papal Household, German Archbishop Georg Ganswein, left, looks on during a private audience at the Vatican. 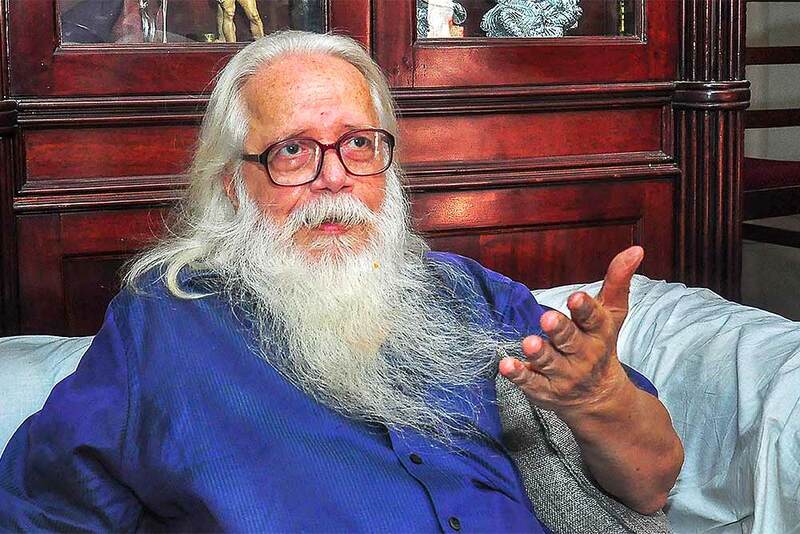 Former ISRO scientist Nambi Narayanan speaks to media, in Thiruvananthapuram. The Supreme Court today held Narayanan was “arrested unnecessarily, harassed and subjected to mental cruelty” in a 1994 espionage case and ordered a probe into the role of Kerala police officers. 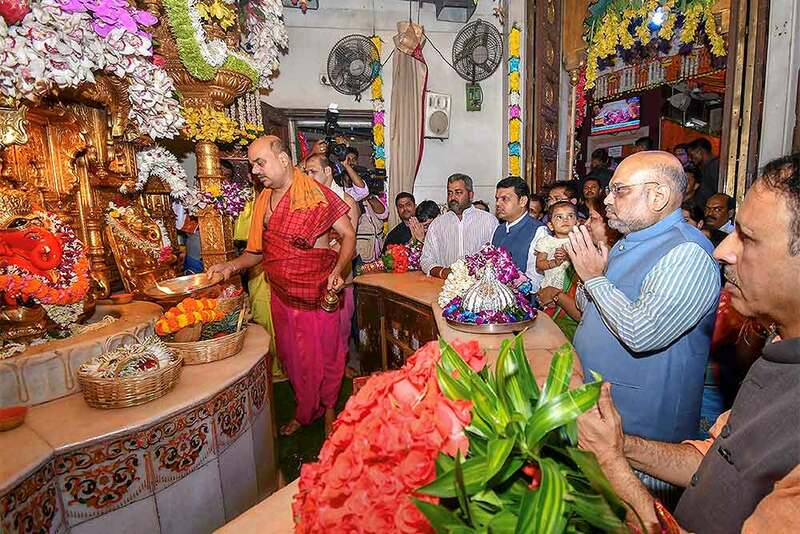 BJP President Amit Shah (second R) with Maharashtra Chief Minister Devendra Fadnavis (background in blue jacket) offer prayers at Siddhivinayak temple on he occasion of Ganesh Chaturthi festival, in Mumbai. 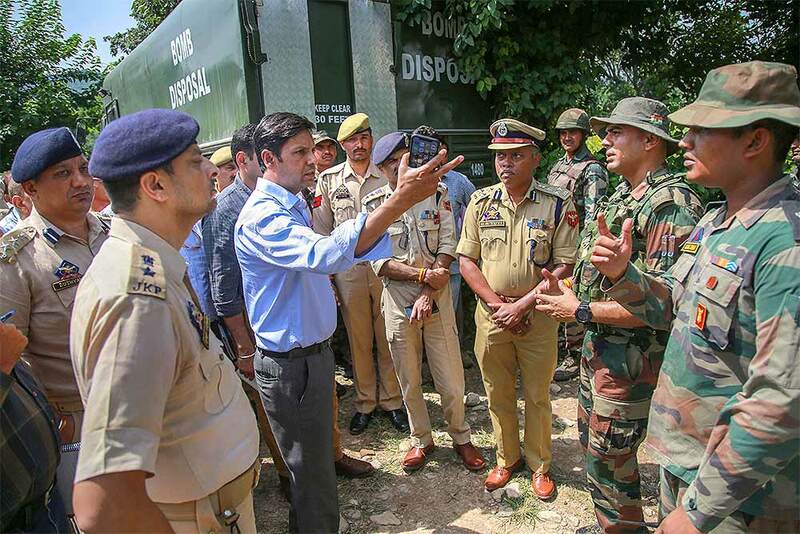 NIA officials with DIG JSK Range BS Tutu and SSP Jammu Vivek Gupta enquire about the recent militant attack, at Kakryal in Jammu. 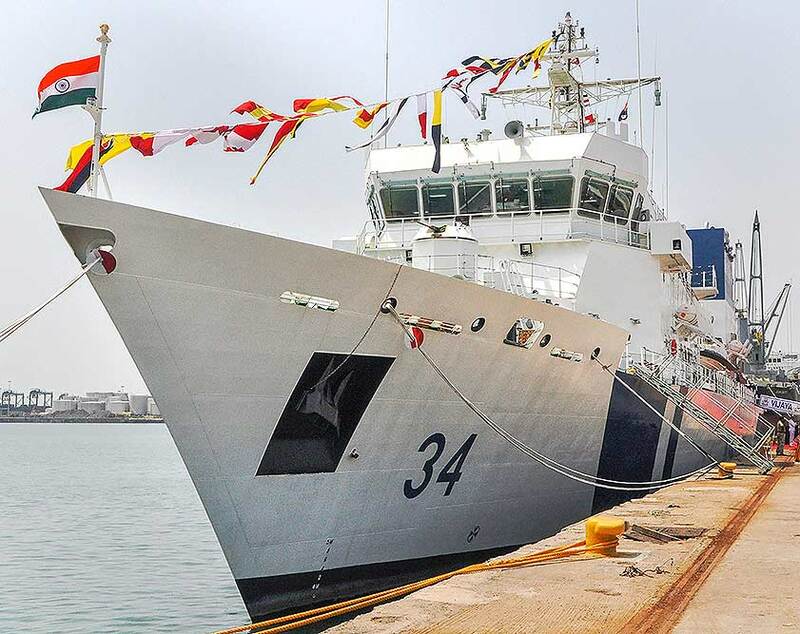 ICGS ship Vijaya seen during its commissioning at Chennai Port. 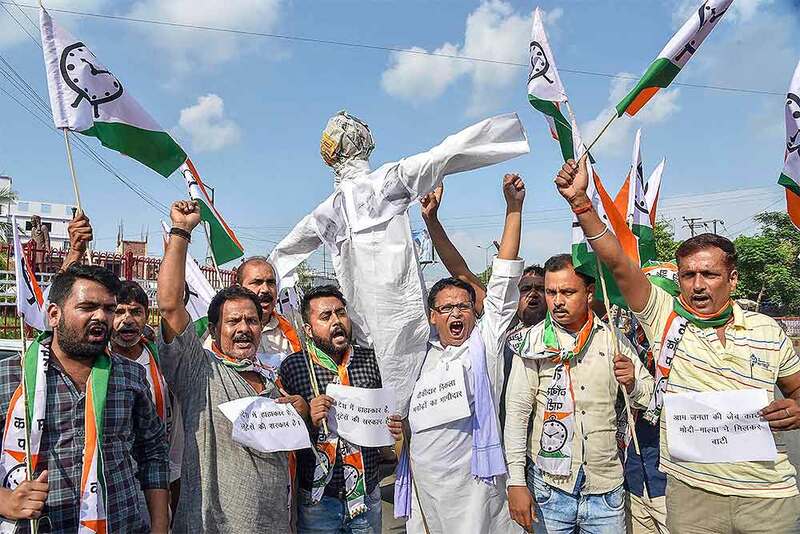 Congress workers raise slogans against Union Finance Minister Arun Jaitley during a protest over his alleged collusion with liquor baron Vijay Mallya before his departure to London, in Bhopal. 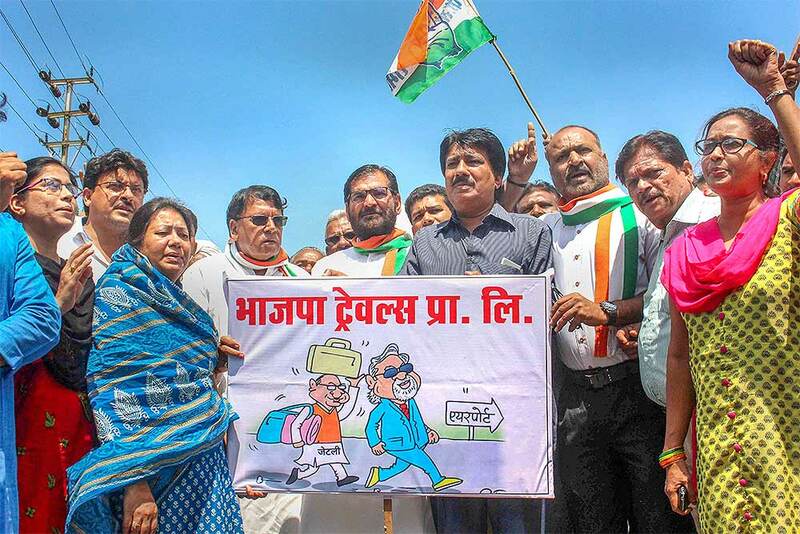 National Congress Party (NCP) workers protest against Union Finance Minister Arun Jaitley over his alleged meeting with Vijay Mallya, in Patna. Prime Minister Narendra Modi greets members of Dawoodi Bohra community during the 'Ashura Mubarak' programme in Indore. 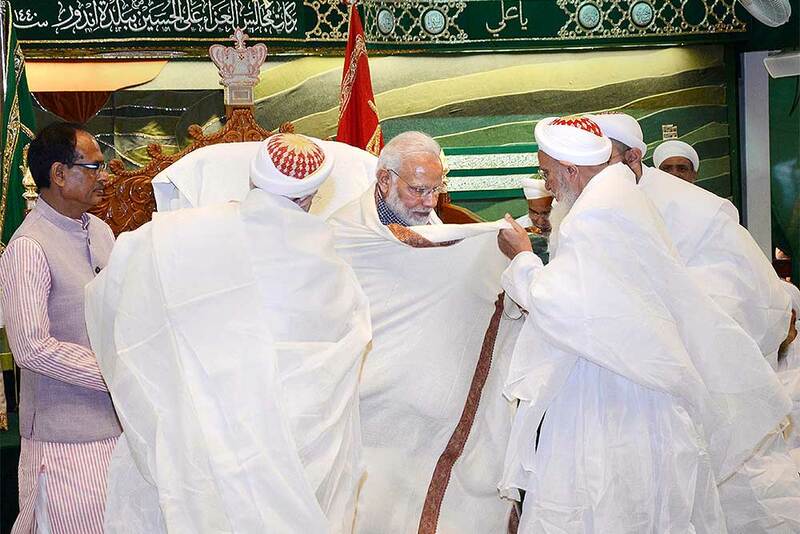 Prime Minister Narendra Modi being received by Syedna Mufaddal Saifuddin, the spiritual head of Dawoodi Bohra community, as he arrives to attend the 'Ashura Mubarak' programme in Indore. 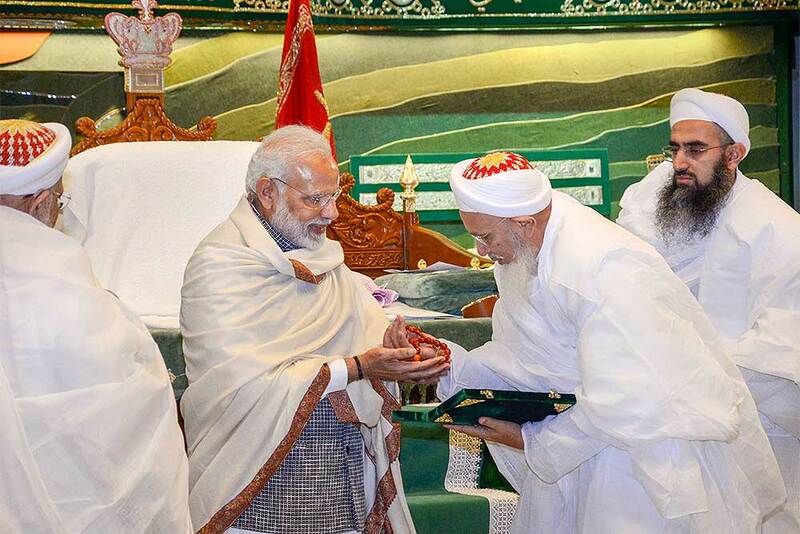 Prime Minister Narendra Modi being welcomed by Syedna Mufaddal Saifuddin, the spiritual head of Dawoodi Bohra community, at the 'Ashura Mubarak' programme in Indore. 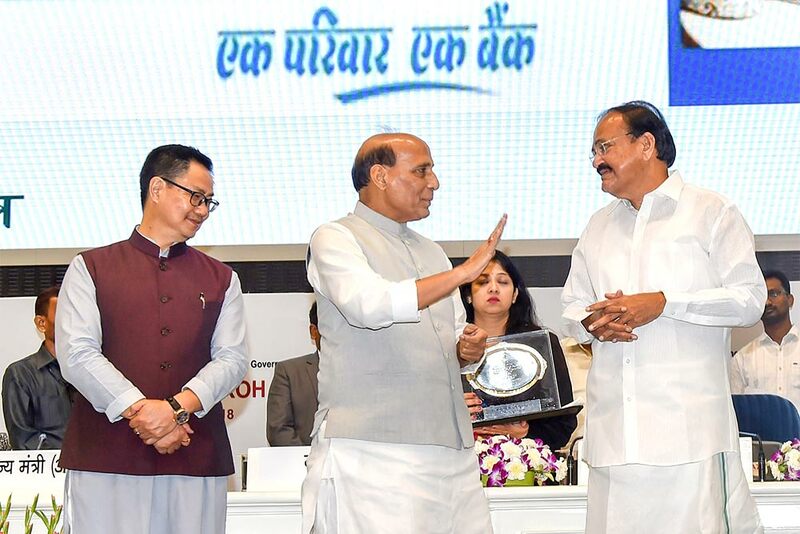 Madhya Pradesh Chief Minister Shivraj Singh Chauhan is also seen. 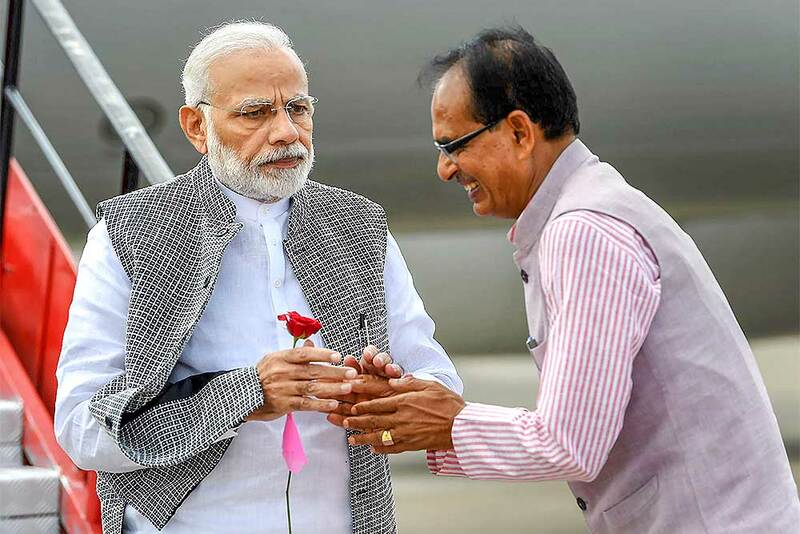 Prime Minister Narendra Modi being received by the Chief Minister of Madhya Pradesh Shivraj Singh Chouhan on his arrival in Indore. 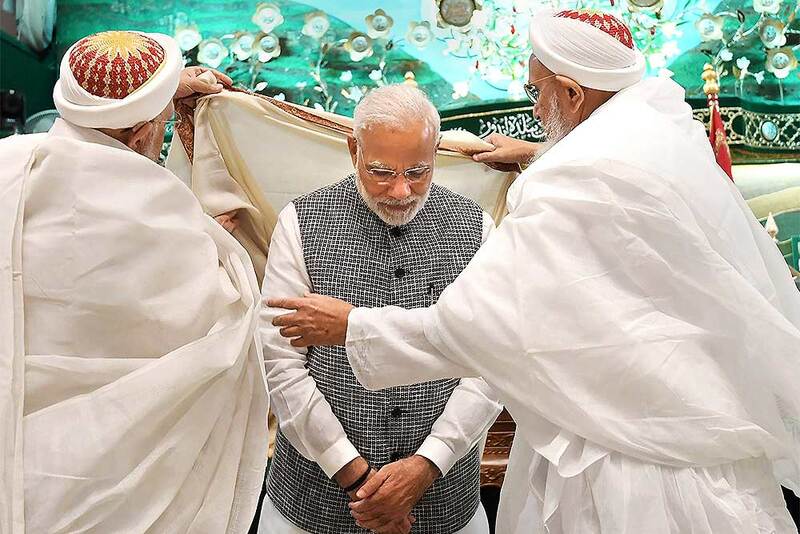 PM Modi arrived in the city to attend Ashara Mubaraka, commemoration of the martyrdom of Imam Husain (SA), organised by the Dawoodi Bohra community. 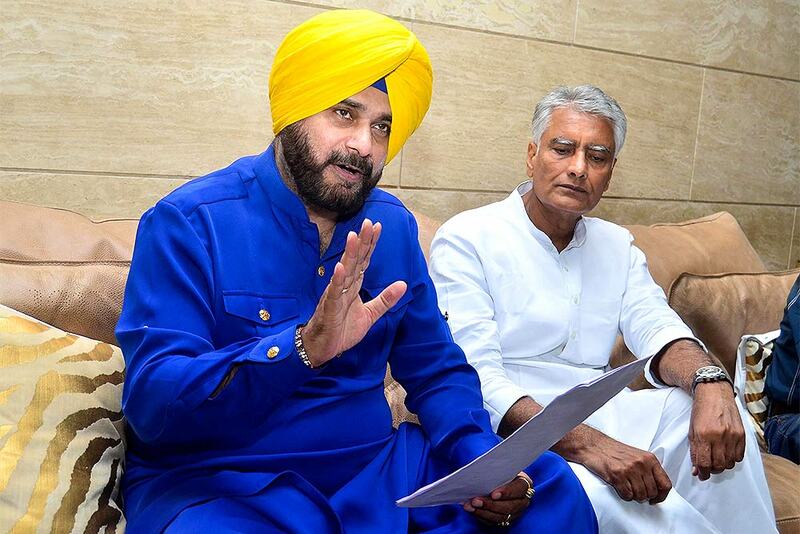 Punjab Local Bodies Minister Navjot Singh Sidhu along with Punjab Pradesh Congress Committee (PPCC) President Sunil Jakhar addresses the media in Amritsar. 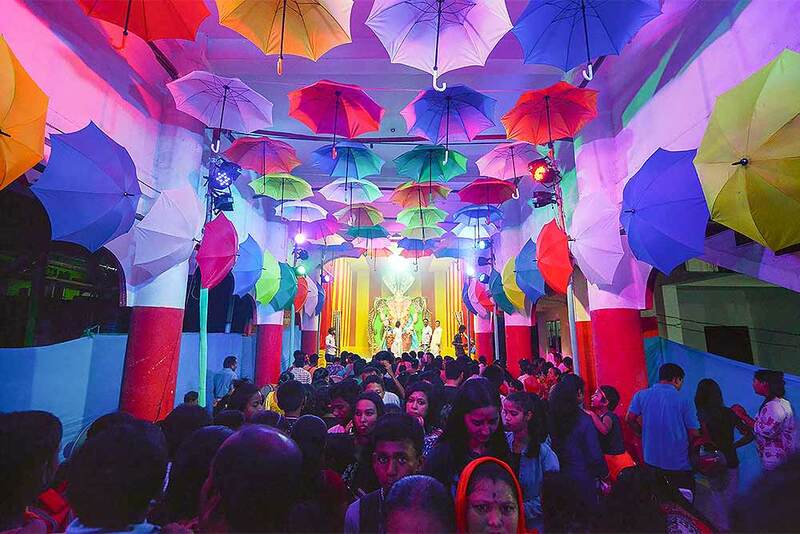 Devotees at a 'pandal' on occasion of the Ganesh Chaturthi festival, in Guwahati. 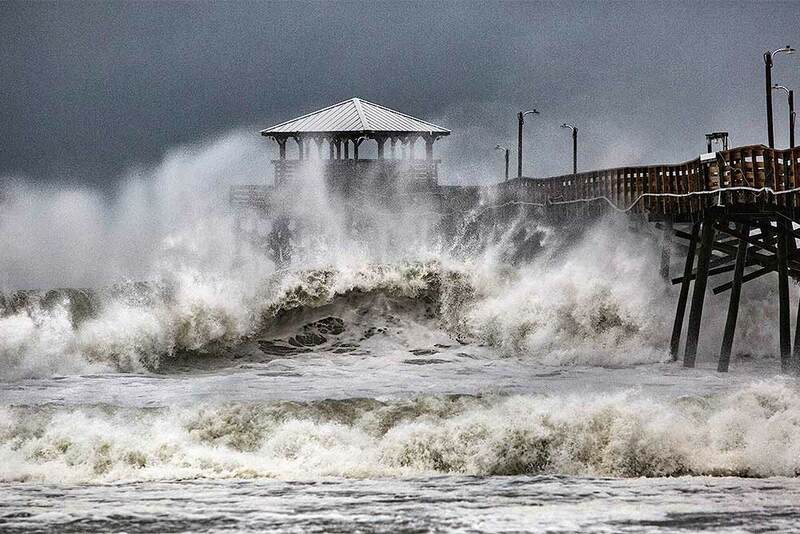 Waves from Hurricane Florence pound the Bogue Inlet Pier in Emerald Isle North Carolina.. 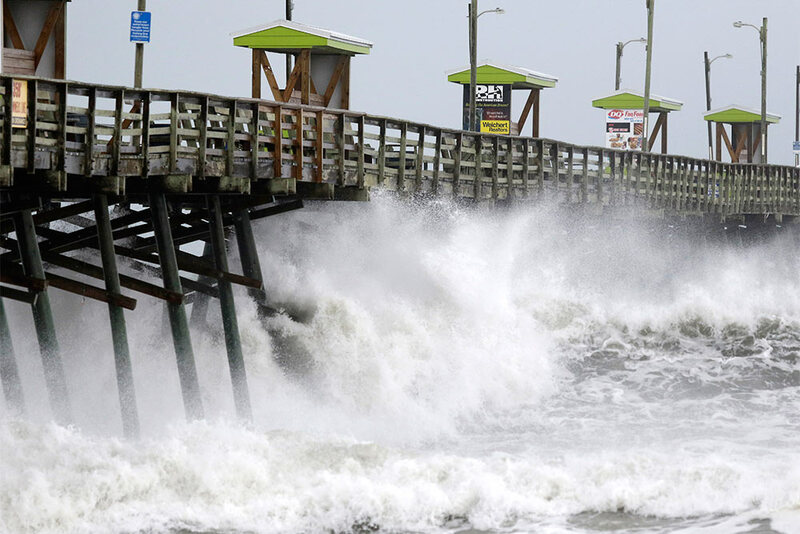 Waves slam the Oceana Pier & Pier House Restaurant in Atlantic Beach, North Carolina as Hurricane Florence approaches the area. 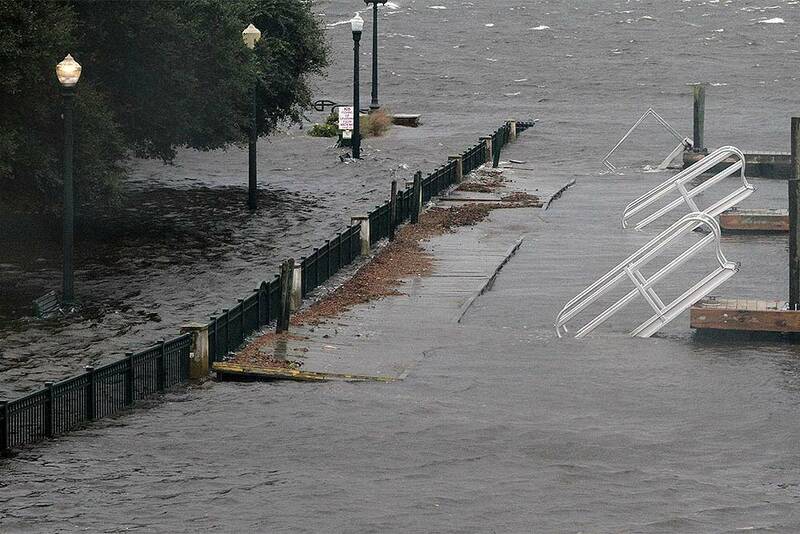 Union Point Park is flooded with rising water from the Neuse and Trent Rivers in New Bern, North Carolina. Hurricane Florence already has inundated coastal streets with ocean water and left tens of thousands without power, and more is to come. 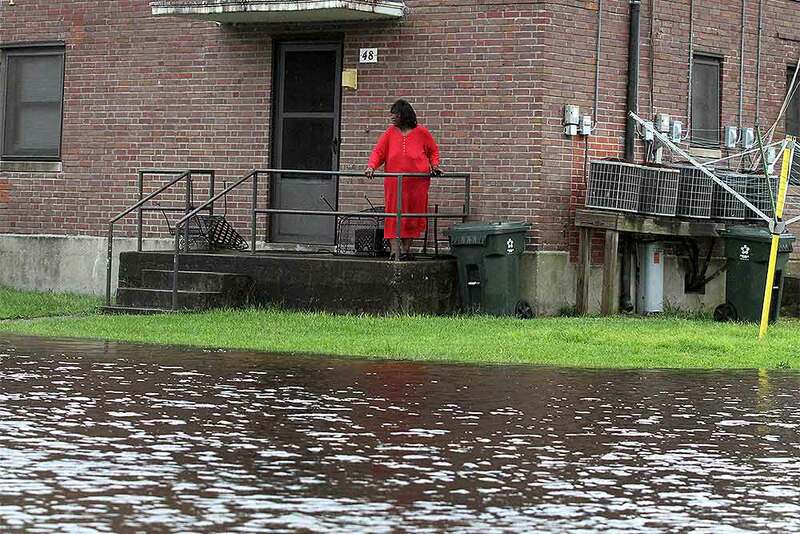 Residents at Trent Court Apartments wait out the weather as rising water gets closer to their doors in New Bern, North Carolina. Hurricane Florence already has inundated coastal streets with ocean water and left tens of thousands without power, and more is to come. 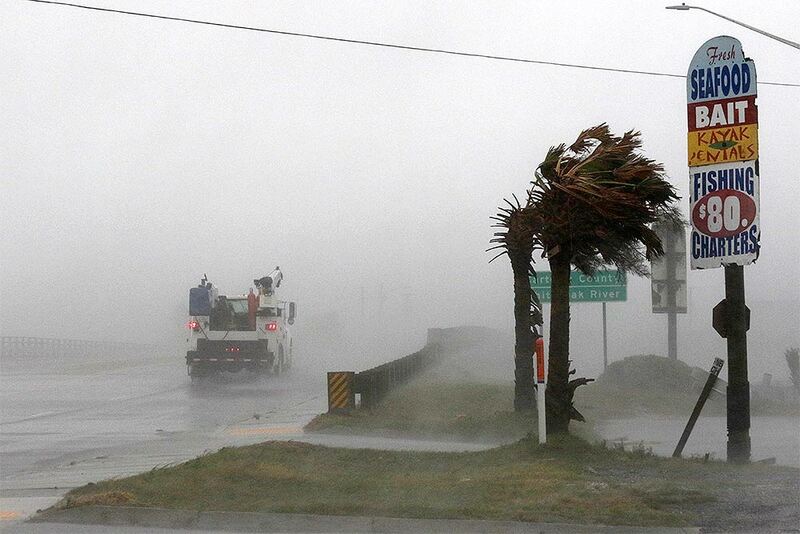 A work truck drives on Hwy 24 as the wind from Hurricane Florence blows palm trees in Swansboro North Carolina. 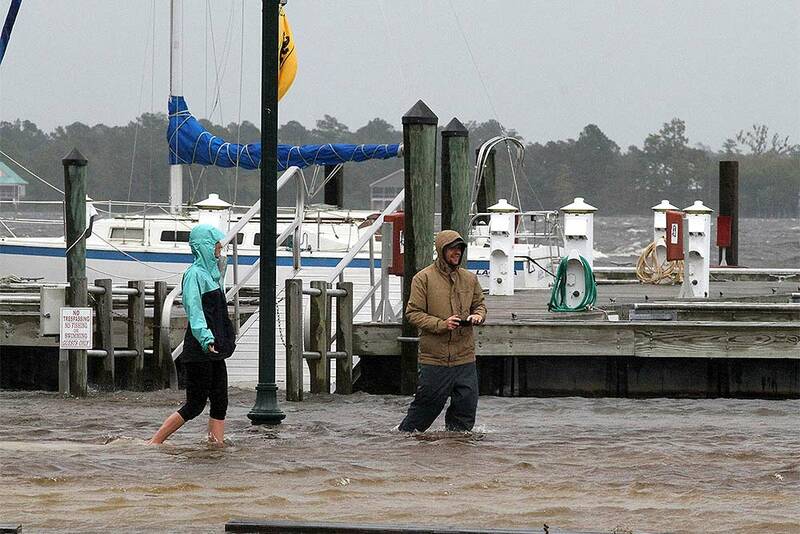 Jamie Thompson and Ryan Thompson walk through flooded areas along the Neuse River near East Front Street in New Bern, North Carolina. 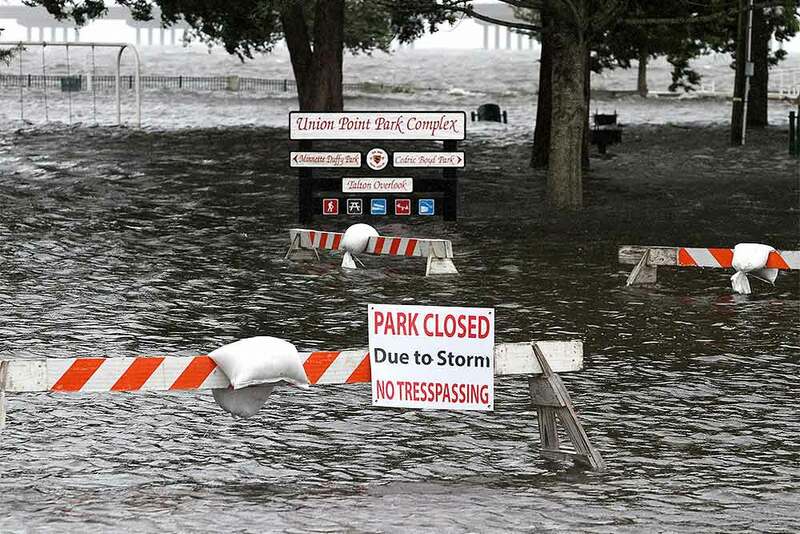 Union Point Park is flooded with rising water from the Neuse and Trent Rivers in New Bern, North Carolina. 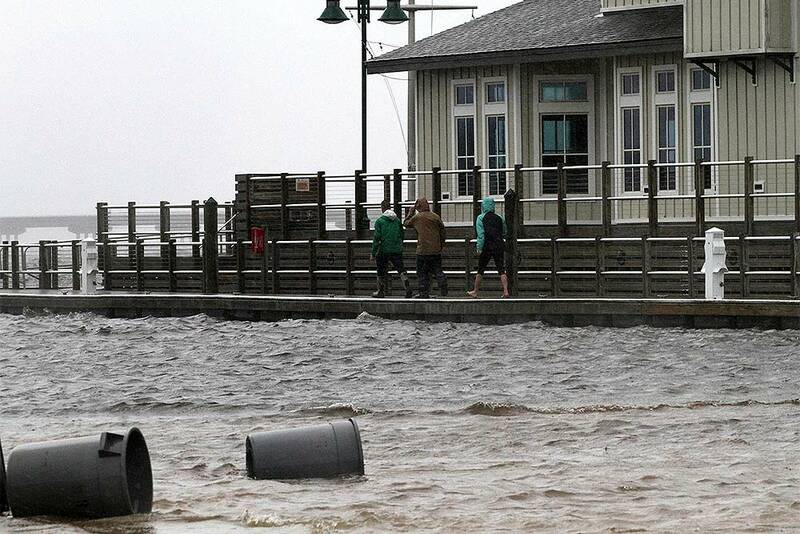 Storm lookers walk along the Neuse River waterfront, at Persimmon's Restaurant, near East Front Street in New Bern, North Carolina. In this photo provided by NASA, Hurricane Florence churns over the Atlantic Ocean heading for the U.S. east coast as seen from the International Space Station. 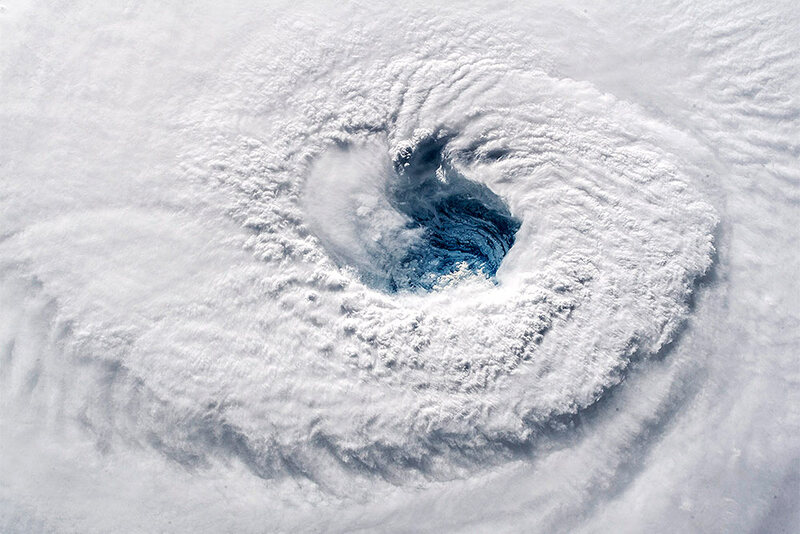 Astronaut Alexander Gerst, who shot the photo, tweeted: "Ever stared down the gaping eye of a category 4 hurricane? It's chilling, even from space." 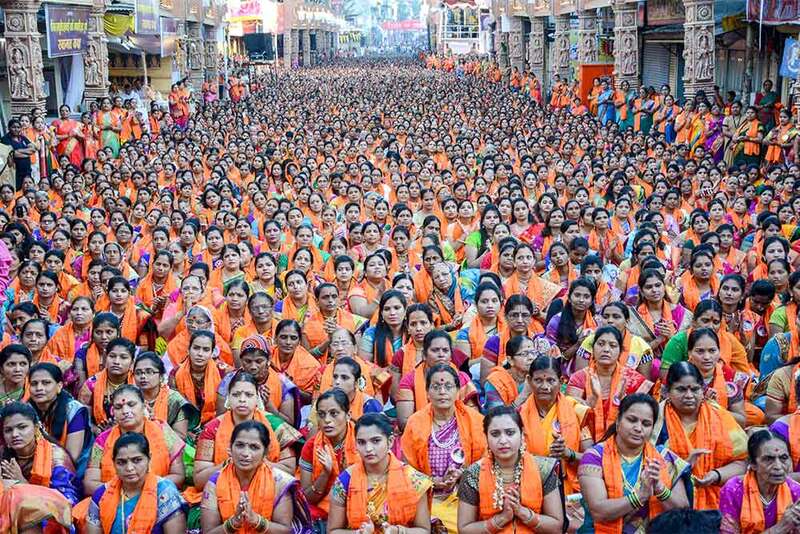 Thousands of women pray at Dagusheth Ganapati on the occasion of Ganapati Atharvashirsa in Pune. 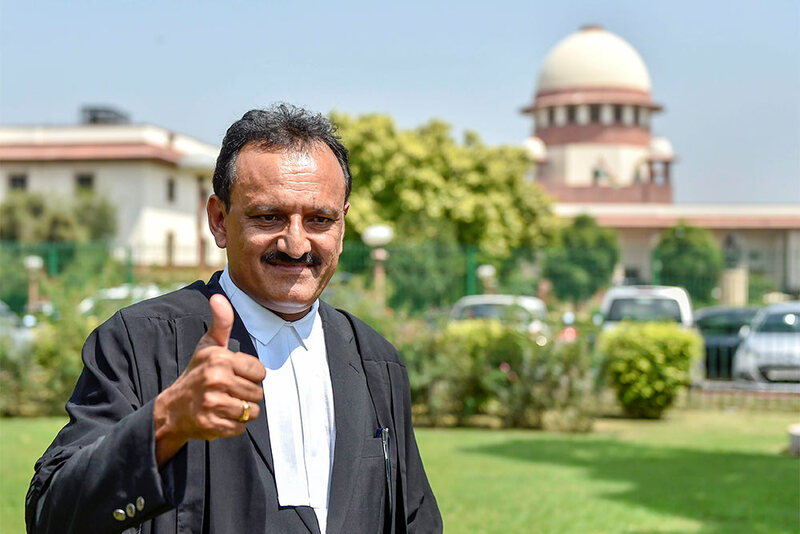 ISRO scientist S Nambi Narayanan’s advocate C Unnikrishnan gestures thumbs up after the Supreme Court's verdict on the ISRO spy case, in New Delhi. 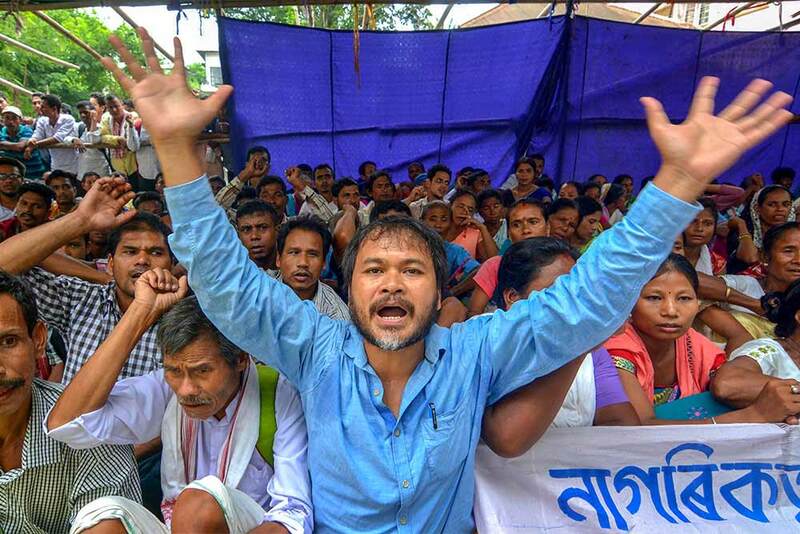 Krishak Mukti Sangram Samity (KMSS) leader Akhil Gogoi during a protest against Citizenship (Amendment) Bill, 2016, in Guwahati. 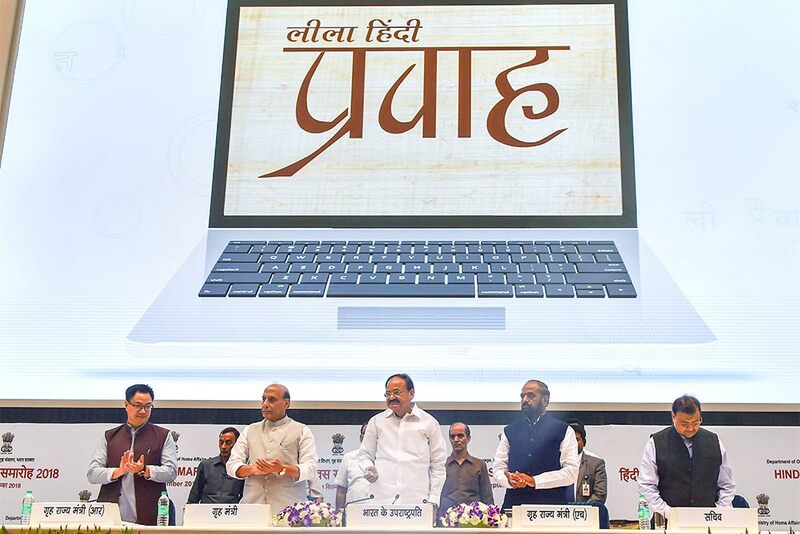 Vice President Venkaiah Naidu, Home Minister Rajnath Singh, MoS for Home Affairs Kiren Rijiju and Hanraj Gangaram Ahir launch the website "Leela Hindi Prawah" during the Hindi Diwas Samaroh 2018, in New Delhi. 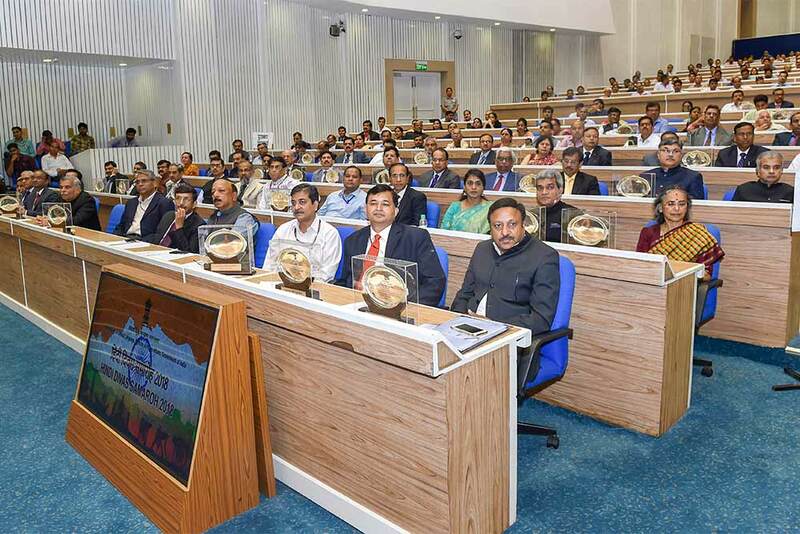 Awardees during the Hindi Diwas Samaroh 2018, in New Delhi. 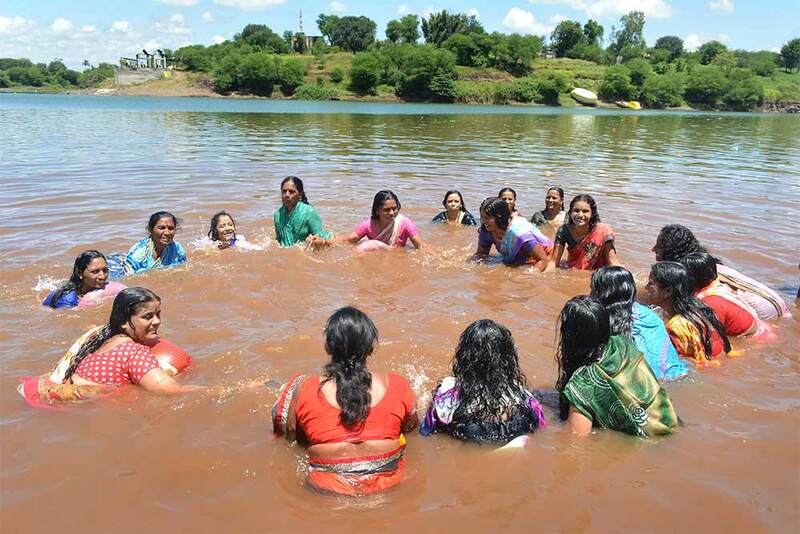 Devotees take a dip at the confluence of Krishna-Koyna rivers on the occasion of 'Rishi Panchami' in Karad, Maharashtra. 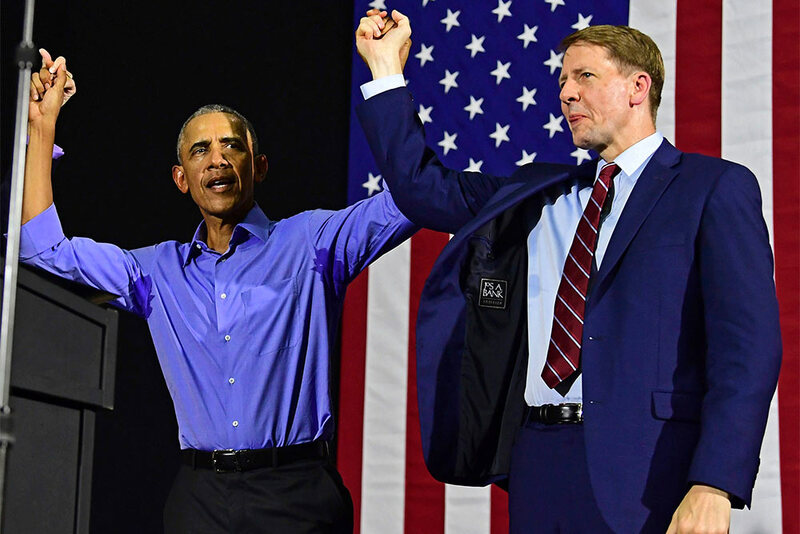 Former President Barack Obama, left, and Democratic gubernatorial candidate Richard Cordray at a campaign rally, in Cleveland. Former President Barack Obama was in closely divided Ohio to campaign for Democratic gubernatorial candidate Richard Cordray, running mate Betty Sutton, U.S. Sen. Sherrod Brown and the party's statewide slate. 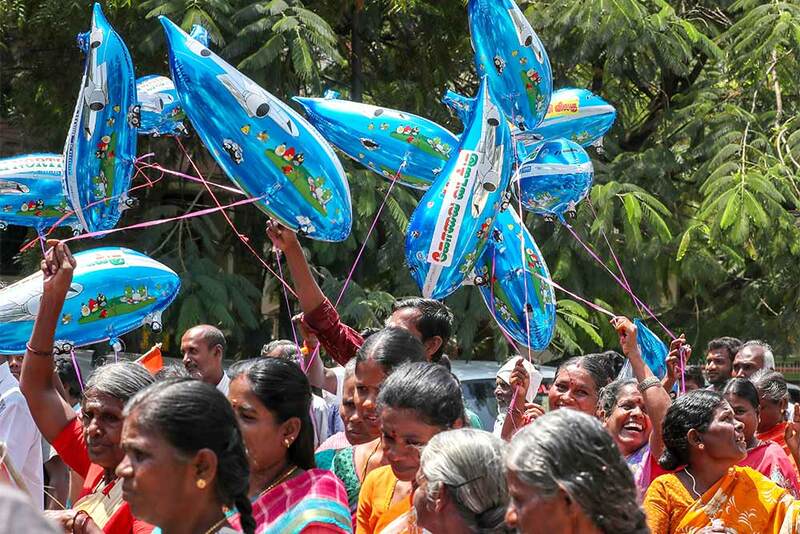 Congress workers stage a protest over the issue of Rafale deal, in Coimbatore. 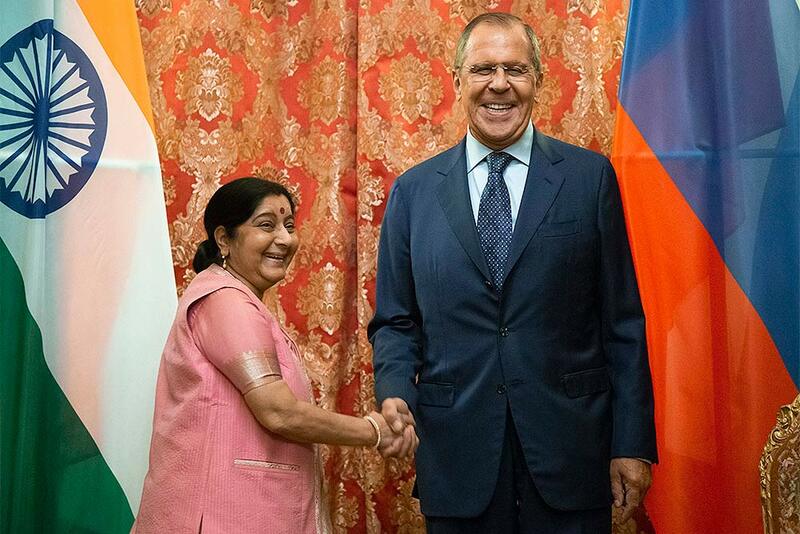 Russian Foreign Minister Sergey Lavrov, right, and Indian Foreign Minister Sushma Swaraj pose for a photo prior to their talks in Moscow, Russia. 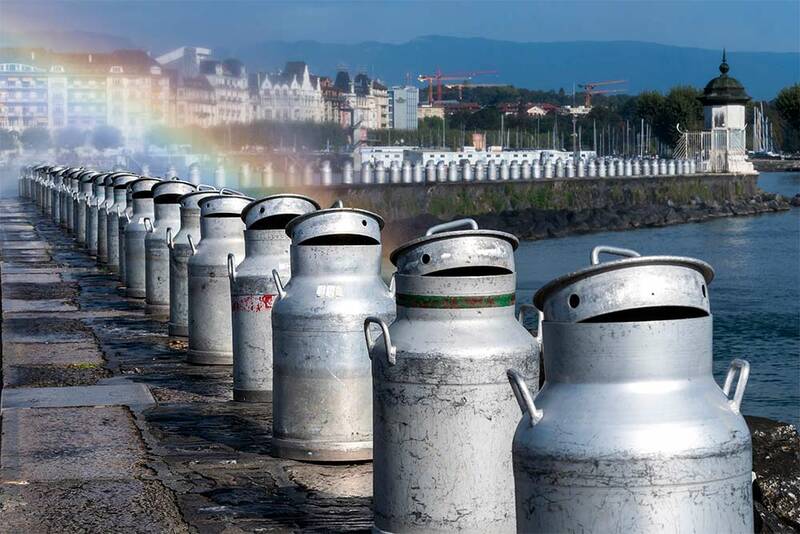 A string of milk cans of the exhibition 'Bidons sans frontieres' (milk cans without boarders) by Swiss-French artist Gerard Benoit a La Guillaume is pictured in front of the famous water fountain 'Le Jet d'Eau' in Geneva, Switzerland. The touring installation 'Bidons sans frontieres' made of more than 216 milk cans is on display just today. 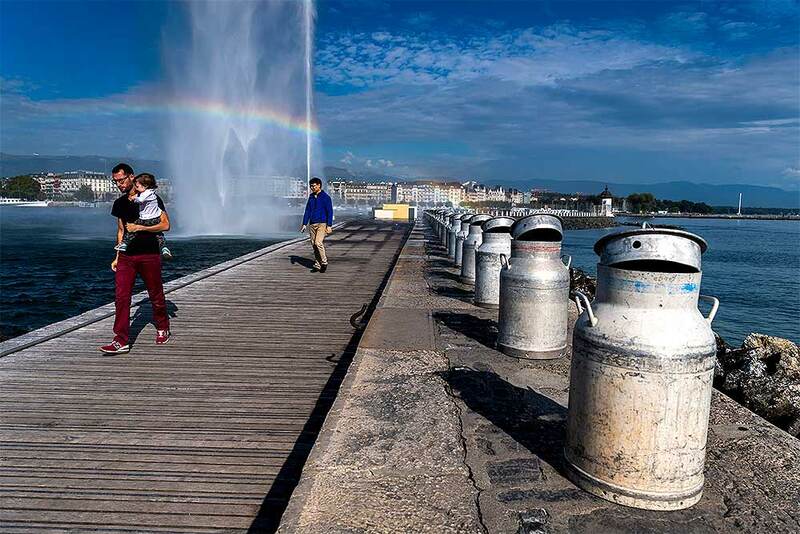 A string of milk cans of the exhibition 'Bidons sans frontieres' (milk cans without boarders) by Swiss-French artist Gerard Benoit a La Guillaume is pictured in front of the famous water fountain 'Le Jet d'Eau' in Geneva, Switzerland. 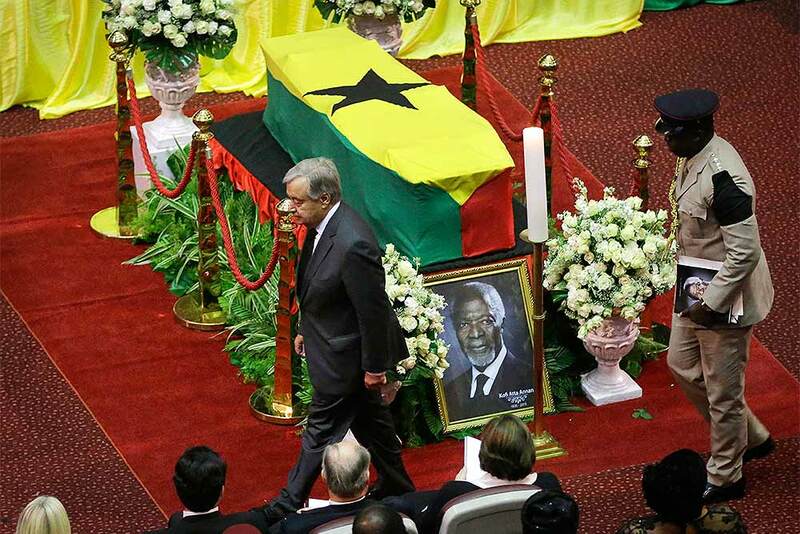 Current U.N. Secretary-General Antonio Guterres, left, pays his respects by the coffin of former U.N. Secretary-General Kofi Annan, draped with the Ghana flag, during a state funeral at the Accra International Conference Center in Ghana. Nane Annan, widow of former U.N. Secretary-General Kofi Annan, lays a wreath during the funeral of her husband, at a cemetery in Accra, Ghana. 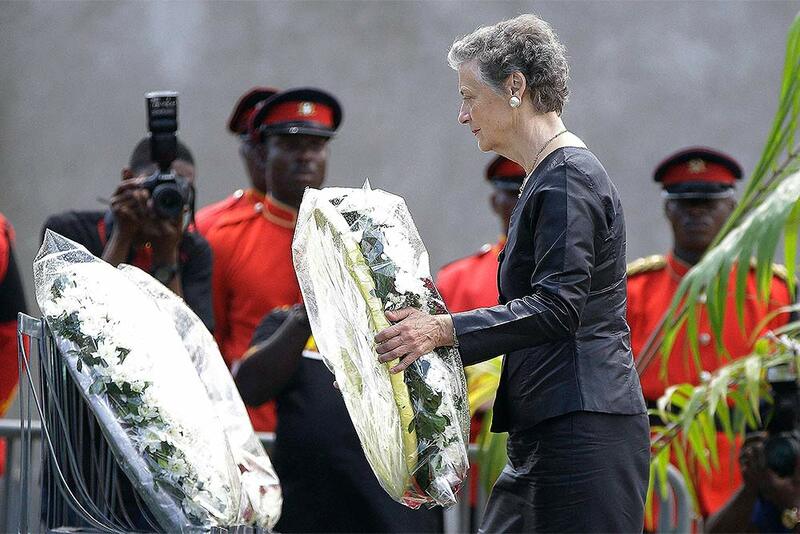 Former United Nations Secretary-General Kofi Annan was buried Thursday after a three-day funeral and ceremony. 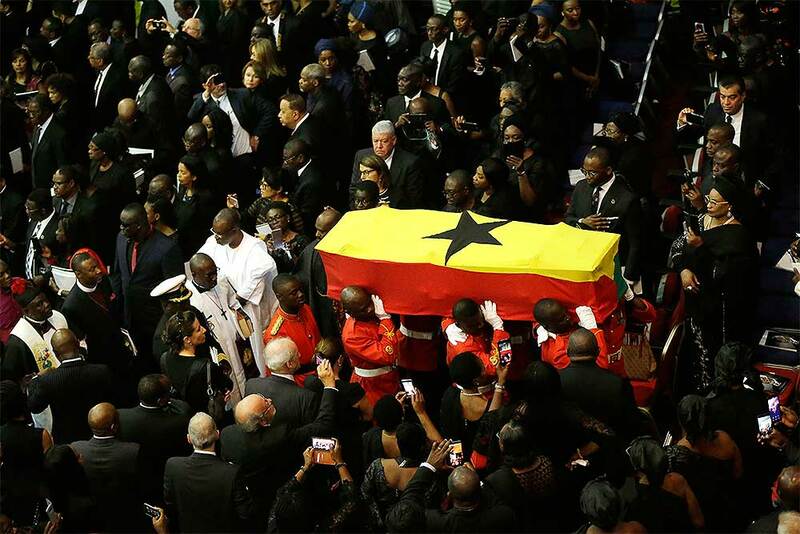 Ghanaian soldiers carry the coffin of former U.N. Secretary-General Kofi Annan, wrapped in the flag of Ghana, after a funeral service at the Accra International Conference Center in Ghana. Former United Nations Secretary-General Kofi Annan will be buried after a three-day funeral and ceremony. 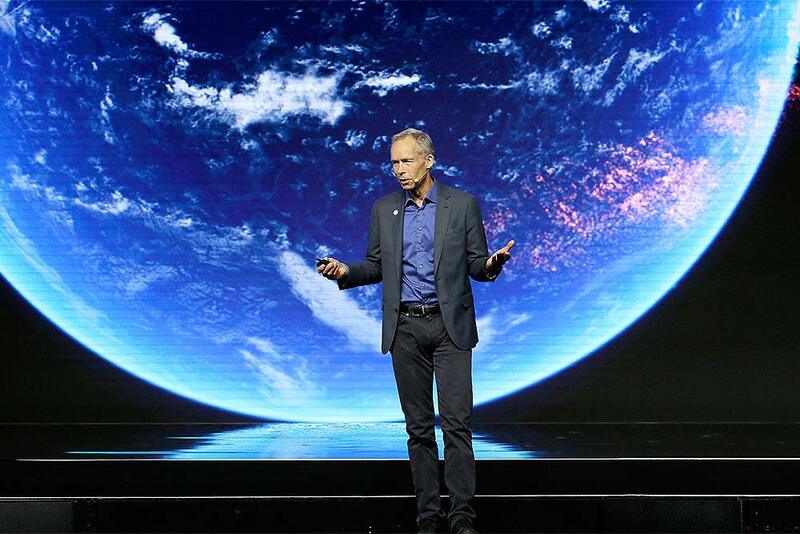 Johan Rockstrom, left, the Executive Director of the Stockholm Resilience Center, speaks during the opening plenary of the Global Action Climate Summit in San Francisco. 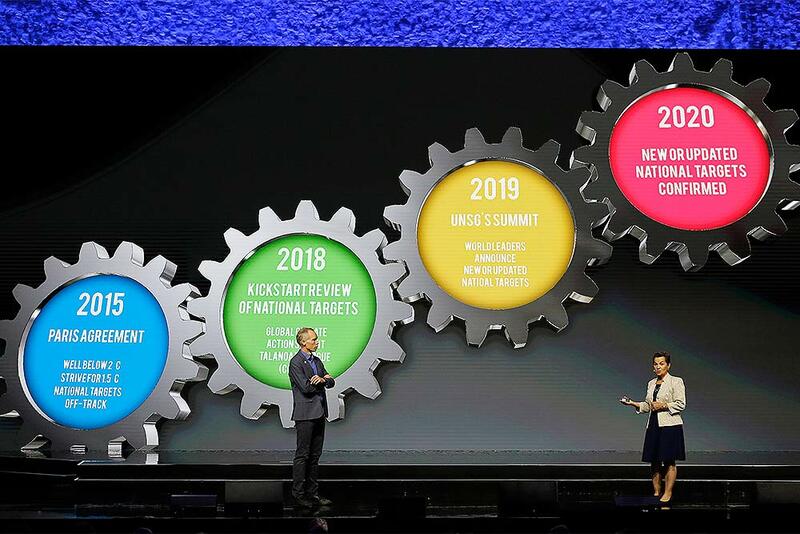 Johan Rockstrom, left, the Executive Director of the Stockholm Resilience Center and Christiana Figueres, Founding Partner, Global Optimism and Convenor, Mission 2020, give a presentation during the opening plenary of the Global Action Climate Summit in San Francisco. 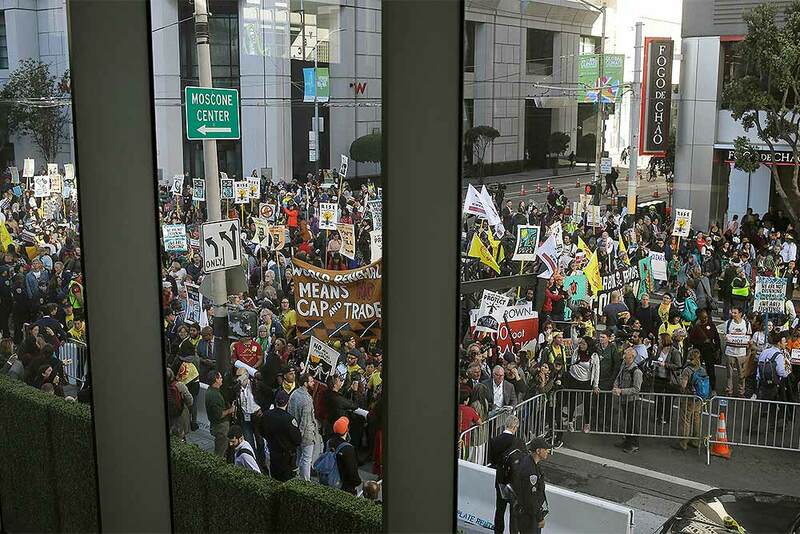 Protesters block an entrance to the Moscone Center where the Global Action Climate Summit was taking place in San Francisco. 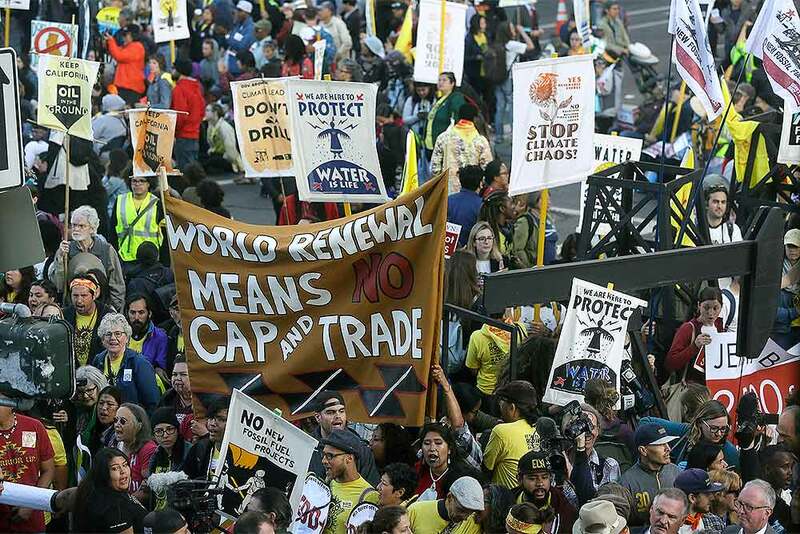 Members of the group 1000 Grandmothers protest outside the Moscone Center in San Francisco where the Global Climate Action Summit is being held. 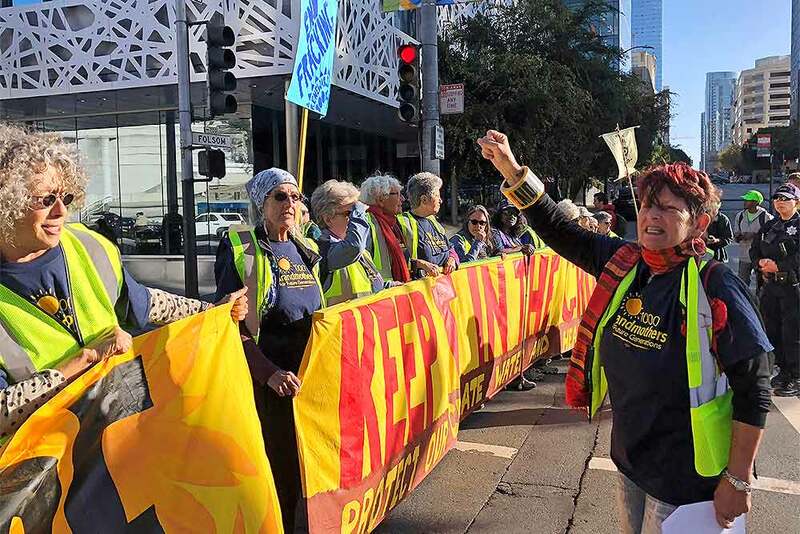 The group, which says it is made up of elder women activists working to address the climate crisis, chanted "Listen to your Grandma, no more fracking!" People walk between sculptures by artist Rainer Opolka in front of the Karl Marx Monument in Chemnitz, eastern Germany. 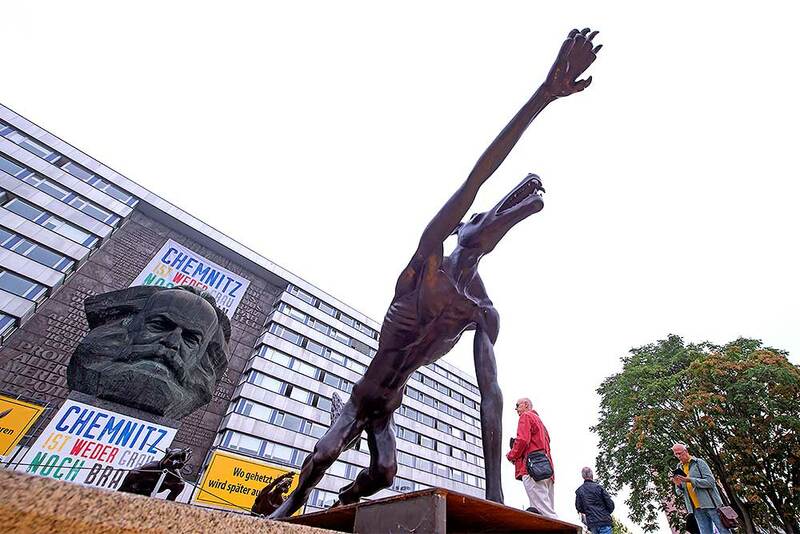 The figure in the foreground is one of 10 life-sized metal wolf sculptures as a part of the spontan exhibition 'Wolves with Hitler salute howl in front of the Karl-Marx-Monument', to protest against xenophobia and right-wing extremism. 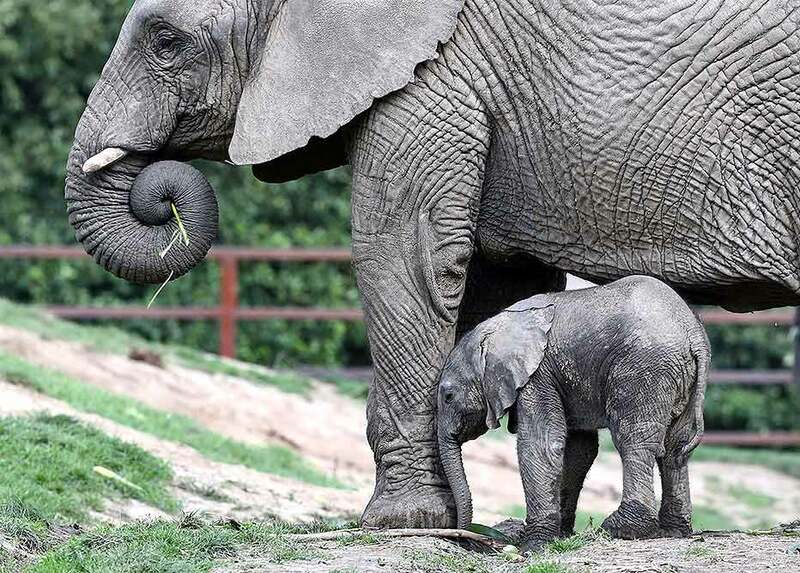 A four-day-old male elephant calf stands by his mother Jama, at Howletts Wild Animal Park, Bekesbourne, near Canterbury, England. Water is seen rushing through a spillway in a neighborhood below the Nuuanu Dam in Honolulu. 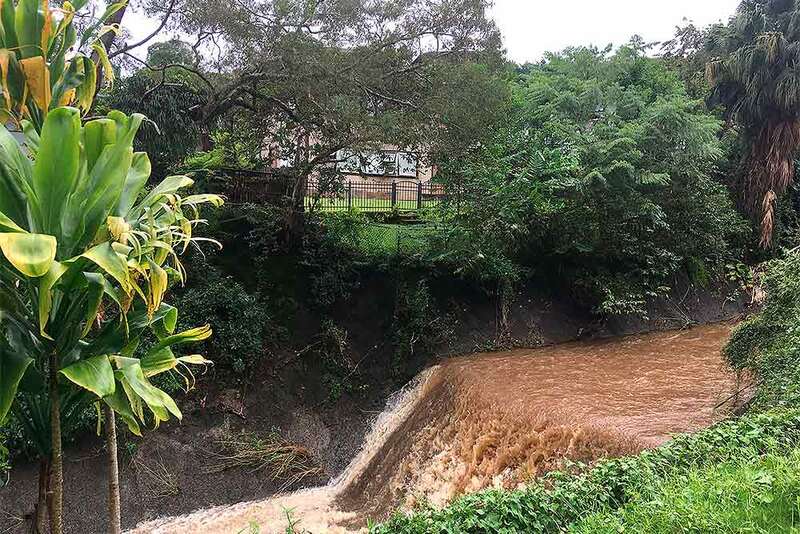 Honolulu officials say they may need to evacuate 10,000 people from a residential neighborhood if water in the reservoir continues to rise after heavy rains from a tropical storm. 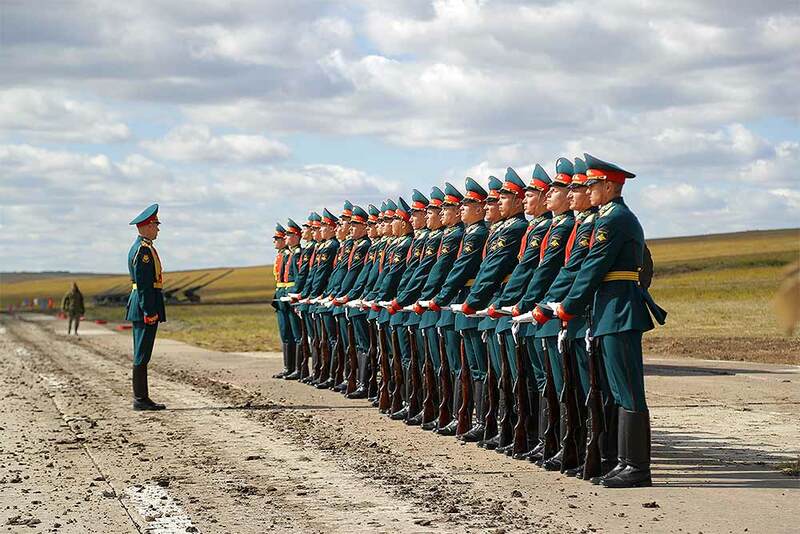 Russian honors guard prepares to take a part in a parade prior to a military exercises on training ground "Tsugol", about 250 kilometers (156 miles ) south-east of the city of Chita during Vostok 2018 in Eastern Siberia, Russia. 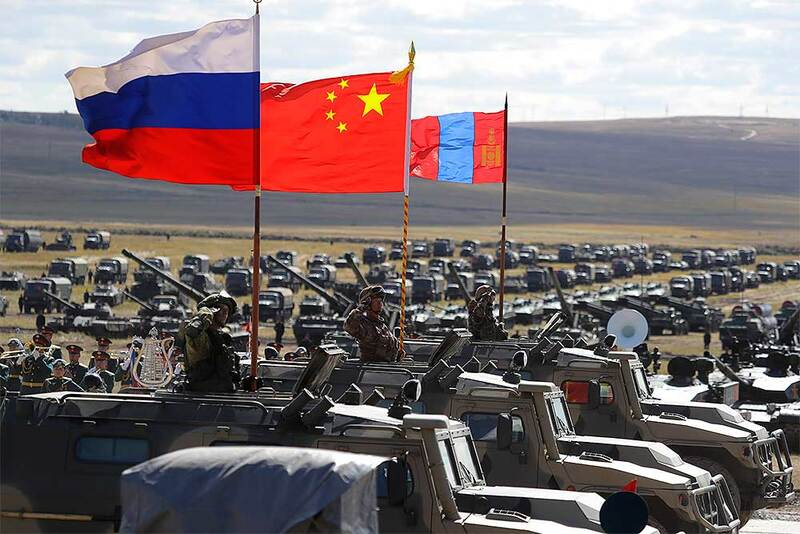 Russian, Chinese and Mongolian national flags set on armored vehicles develop in the wind during a military exercises on training ground "Tsugol", about 250 kilometers (156 miles) south-east of the city of Chita during the military exercises Vostok 2018 in Eastern Siberia, Russia. 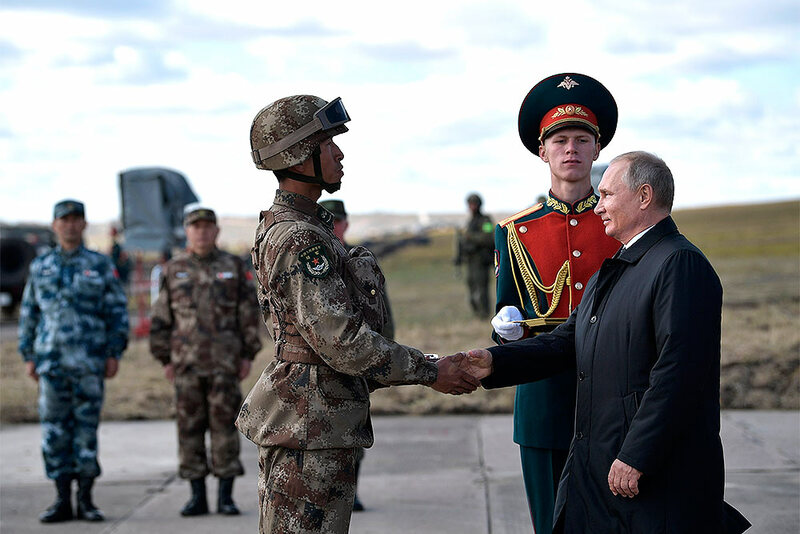 Russian President Vladimir Putin, right, shakes hands with a Chinese serviceman as he attends military exercises on training ground "Tsugol", about 250 kilometers (156 miles) south-east of the city of Chita during the military exercises Vostok 2018 in Eastern Siberia, Russia. 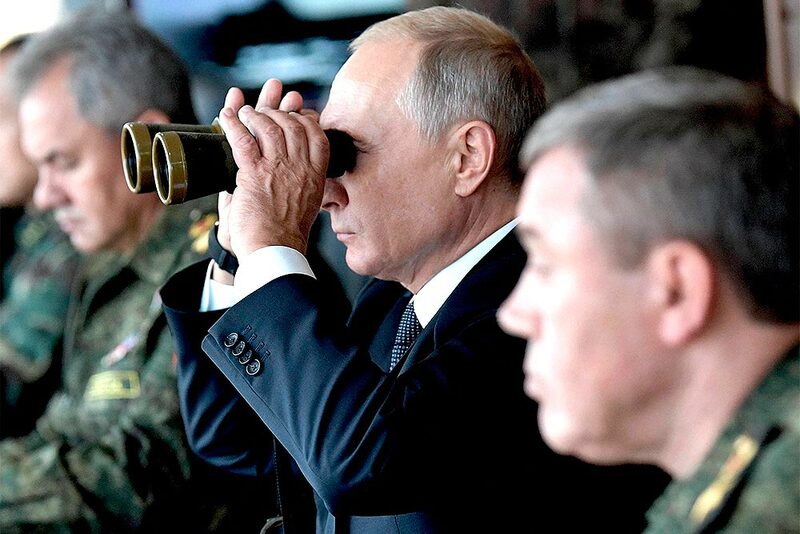 Russian President Vladimir Putin holds a binocular while watching a military exercises on training ground "Telemba", about 80 kilometers (50 miles ) north of the city of Chita during the military exercises Vostok 2018 in Eastern Siberia, Russia. The weeklong Vostok (East) 2018 maneuvers launched Tuesday span vast expanses of Siberia and the Far East, the Arctic and the Pacific Oceans. They involve nearly 300,000 Russian troops along with 1,000 Russian aircraft and 36,000 tanks and other combat vehicles. 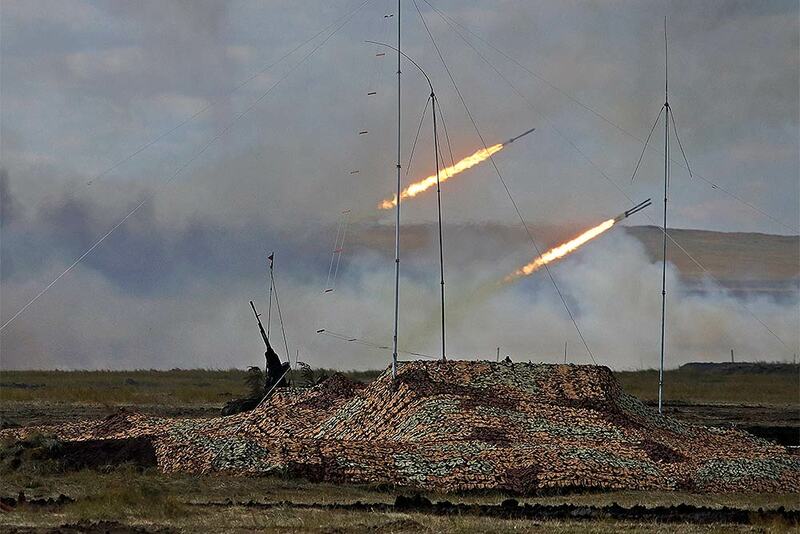 Two missiles fly over the training ground "Tsugol", about 80 kilometers (50 miles) north of the city of Chita during the military exercises Vostok 2018 in Eastern Siberia, Russia. 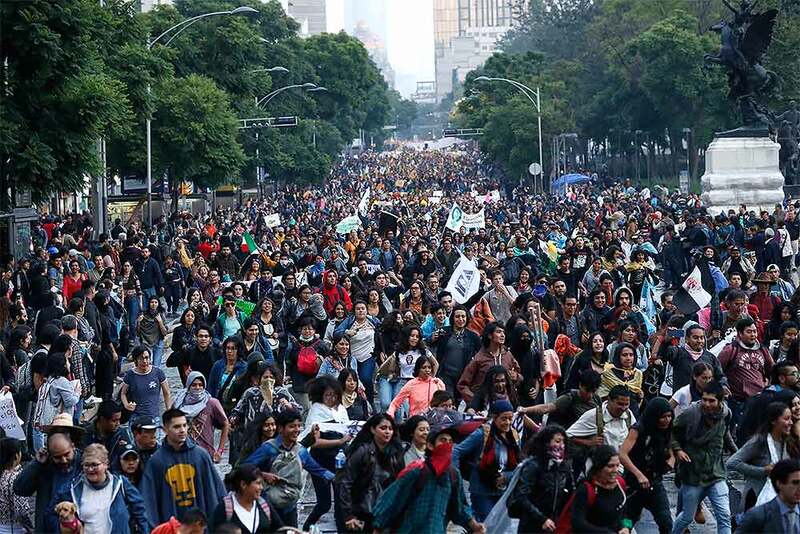 Thousands of students take part in the march for silence, in protest against groups of institutional thugs that operate on campus at Mexico’s National Autonomous University, UNAM, in Mexico City. The students are demanding an end to violence by groups of thugs known as “porros” who are often registered but don’t attend classes. 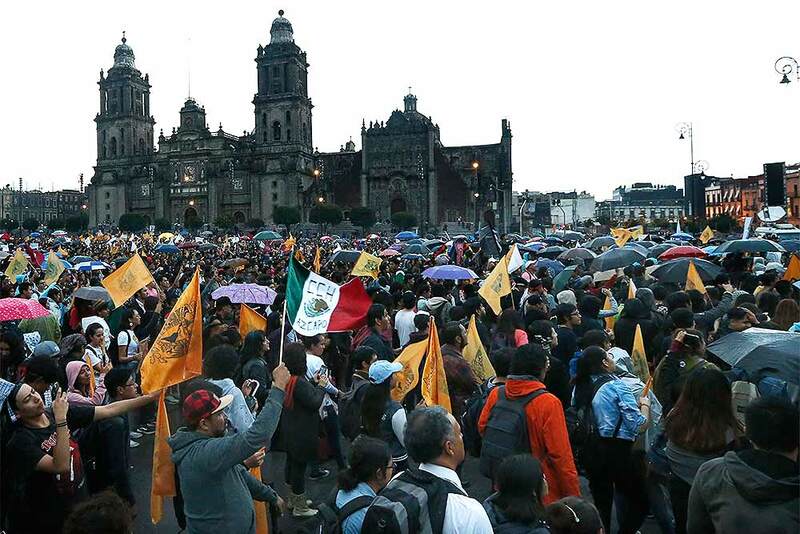 Thousands of students meet in Mexico City's main square to take part in the march for silence, in protest against groups of institutional thugs that operate on campus at Mexico's National Autonomous University, UNAM, in Mexico City. 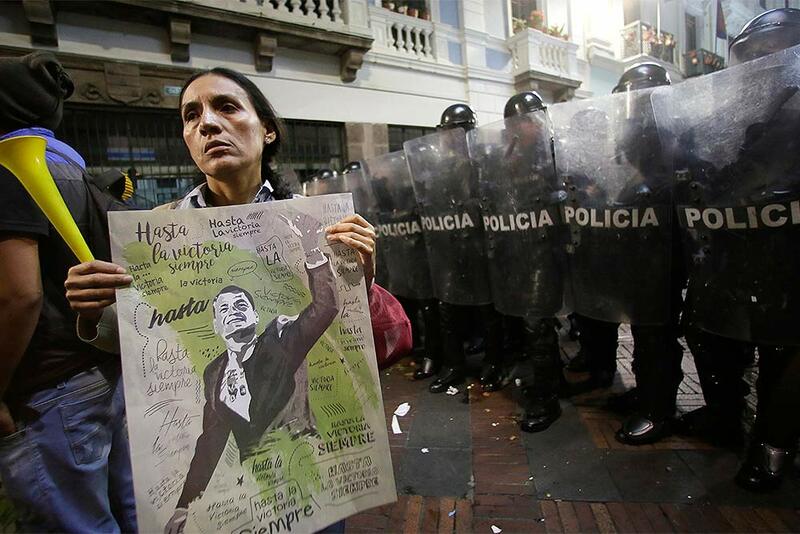 Demonstrators are confronted by riot police during march to protest against the policies of the administration of President Lenin Moreno, in Quito, Ecuador. Most of the marchers are supporters of Ex-president Rafael Correa who is in self imposed exile in Belgium and has become a political adversary of Moreno. MultiPly pavilion by Waugh Thistleton Architects, on display in The Sackler Courtyard at the Victoria and Albert museum (V&A), as part of London Design Festival, in London. 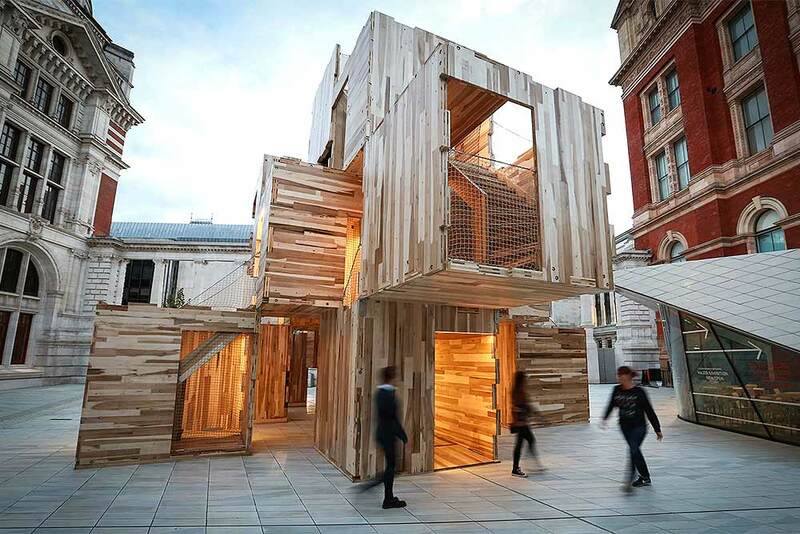 The London Design Festival returns to the capital for the 16th year with various installations and events, including the maze-like interconnected spaces in the Multiply pavilion made in collaboration with the American Hardwood Export Council and engineering design firm ARUP. 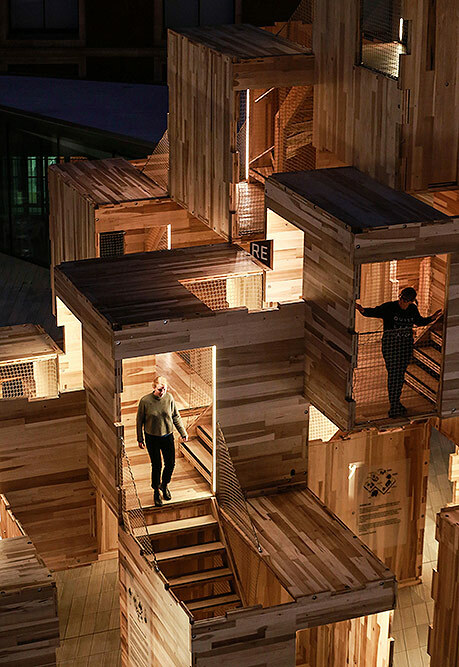 People explore MultiPly pavilion by Waugh Thistleton Architects, on display in The Sackler Courtyard at the Victoria and Albert museum (V&A), as part of London Design Festival, in London. India's Taniya Bhatia successfully takes a run out to dismiss Sri Lanka's Nipuni Hansika during their second women's one day international cricket match in Galle, Sri Lanka. 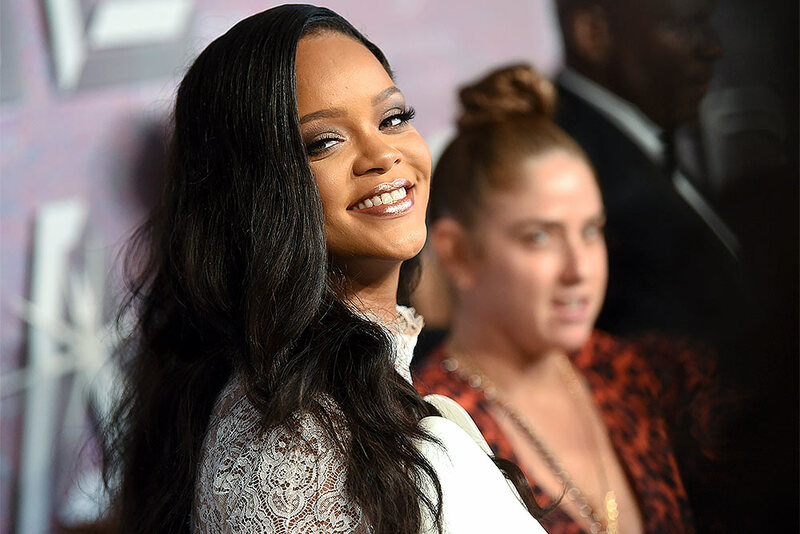 Singer Rihanna attends the 4th annual Diamond Ball at Cipriani Wall Street in New York. 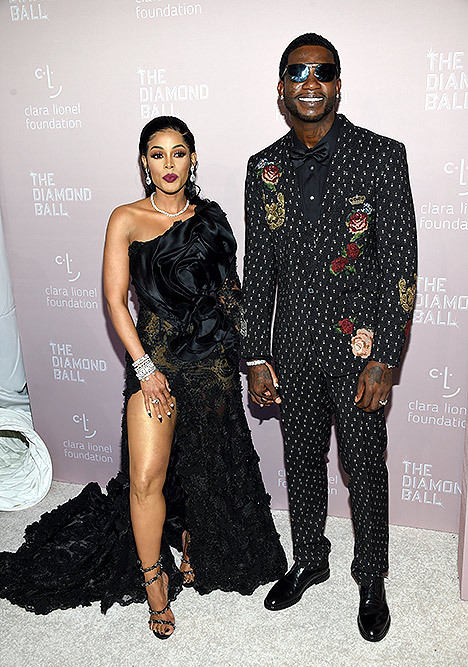 Rapper Gucci Mane, right, and fiancee Keyshia Ka'oir attend the 4th annual Diamond Ball at Cipriani Wall Street in New York. 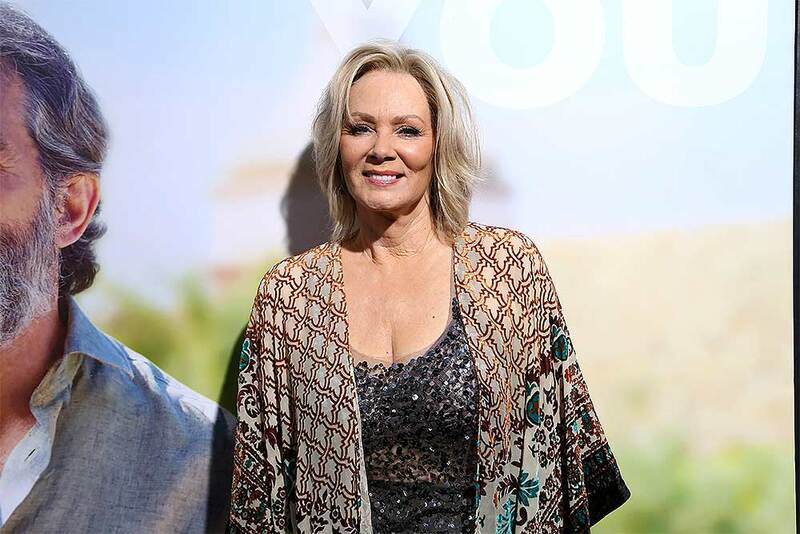 Jean Smart arrives at the LA Premiere of "Life Itself" at the Hollywood ArcLight in Los Angeles. Actress Joey King poses for photographs on the red carpet for the film "The Lie" during the 2018 Toronto International Film Festival in Toronto. Actress Maggie Gyllenhaal poses for photographs on the red carpet for the new movie "The Kindergarten Teacher" during the 2018 Toronto International Film Festival in Toronto. 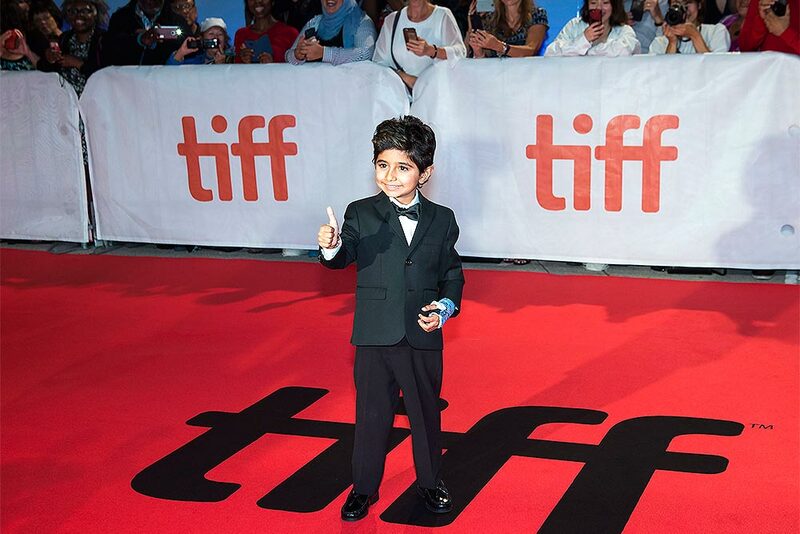 Actor Parker Sevak poses for photographs on the red carpet for the new movie "The Kindergarten Teacher" during the 2018 Toronto International Film Festival in Toronto. Actors Maggie Gyllenhaal, left, Parker Sevak, center, and director Sara Colangelo pose for photographs on the red carpet for the new movie "The Kindergarten Teacher" during the 2018 Toronto International Film Festival in Toronto. 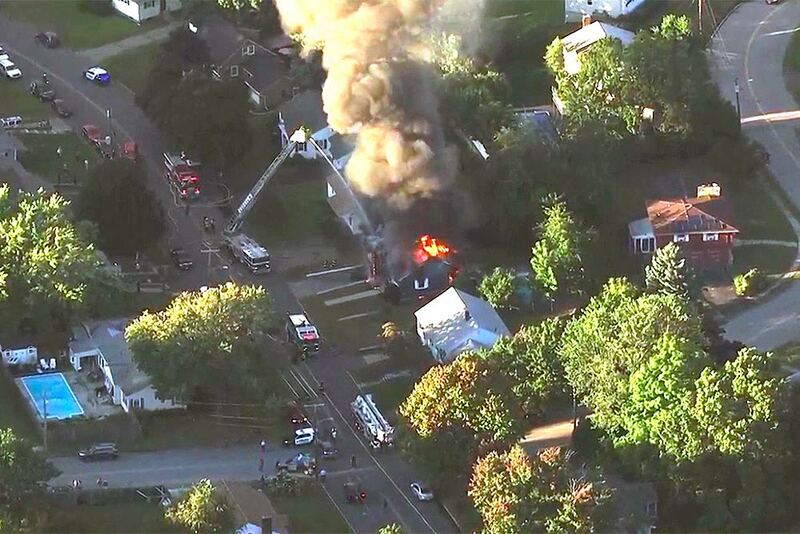 In this image take from video provided by WCVB in Boston, flames rise from a house in Lawrence, Mass, a suburb of Boston. In this image take from video provided by WCVB in Boston, firefighters battle a large structure fire in Lawrence, Mass, a suburb of Boston. 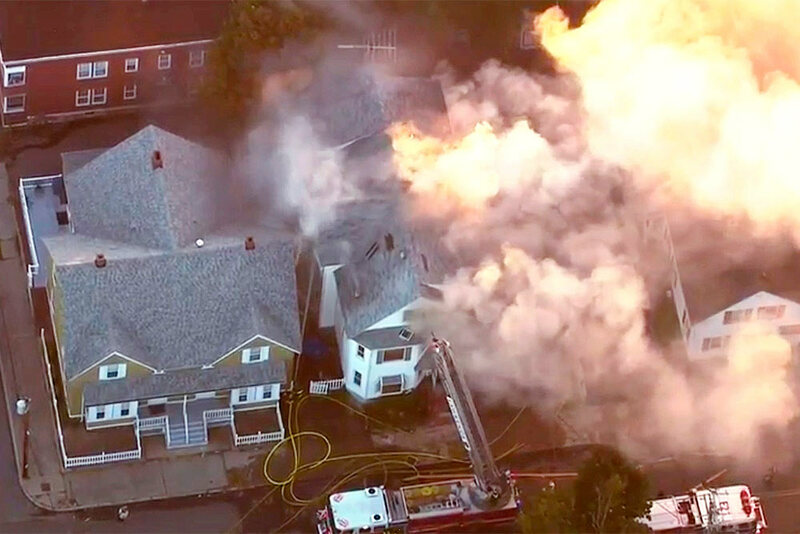 Emergency crews are responding to what they believe is a series of gas explosions that have damaged homes across three communities north of Boston. 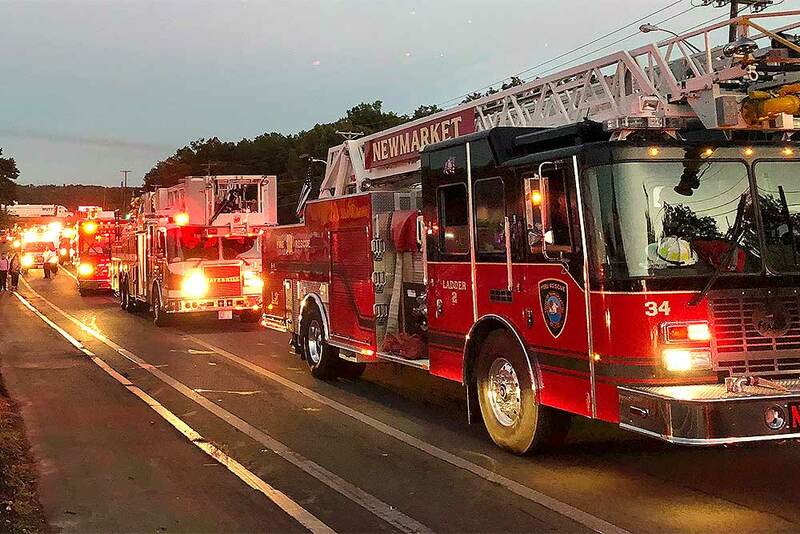 Multiple fire trucks from surrounding communities arrive in Lawrence, Mass., responding to a series of gas explosions and fires triggered by a problem with a gas line that feeds homes in several communities north of Boston. 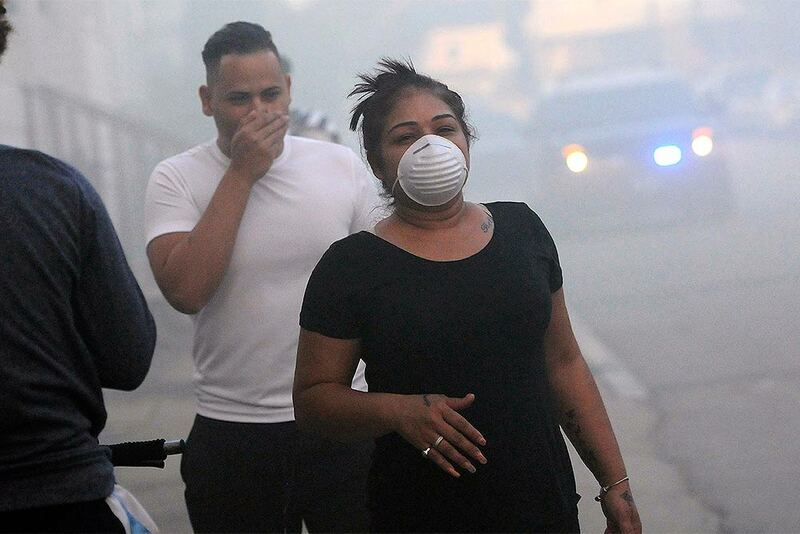 Residents cover their face from the smoke while being evacuated from homes as firefighters battle a fire on Bowdoin St., in Lawrence., Mass. 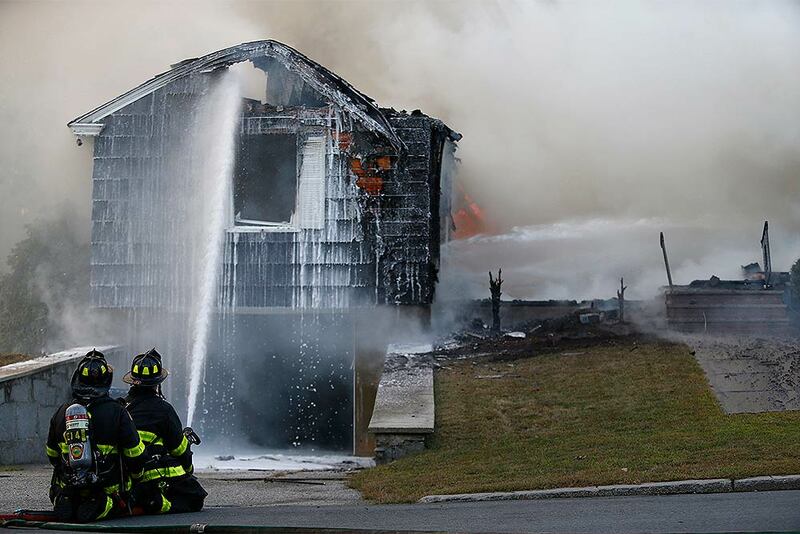 A problem with a gas line that feeds homes in several communities north of Boston triggered a series of gas explosions and fires. 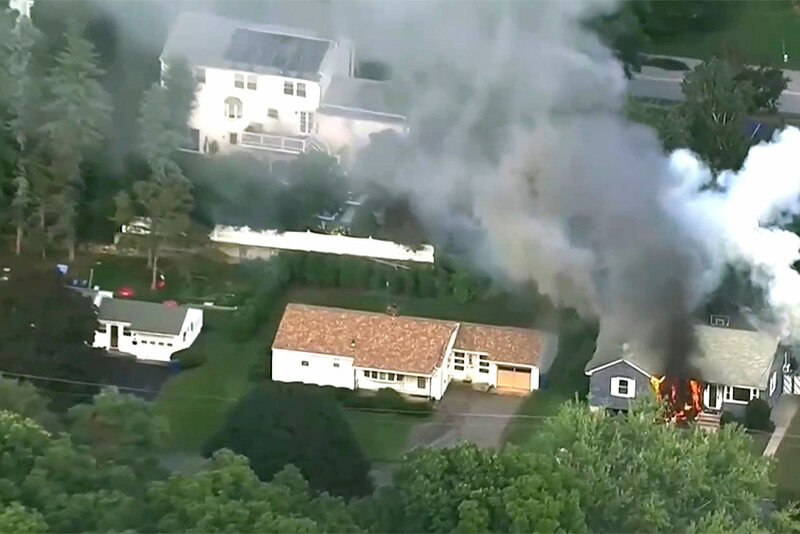 Firefighters battle a house fire, on Herrick Road in North Andover, Mass., one of multiple emergency crews responding to a series of gas explosions and fires triggered by a problem with a gas line that feeds homes in several communities north of Boston. 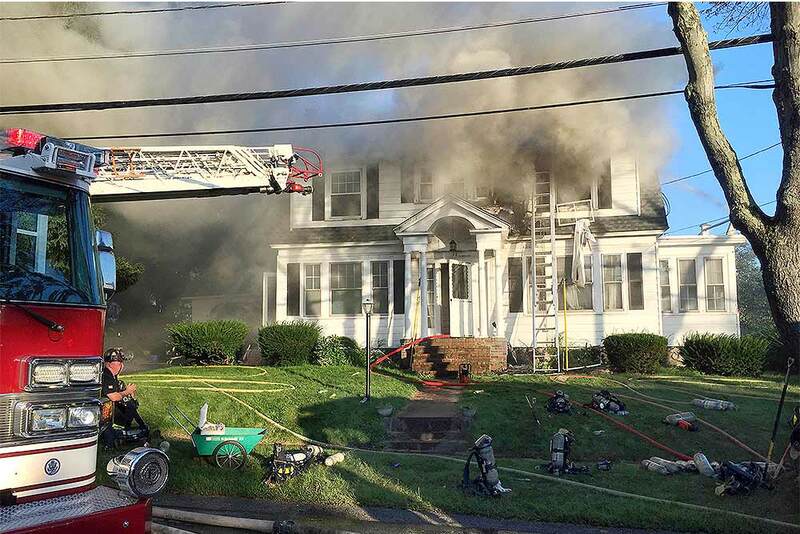 In this image take from video provided by WCVB in Boston, firefighters battle a raging house fire in Lawrence, Mass, a suburb of Boston. 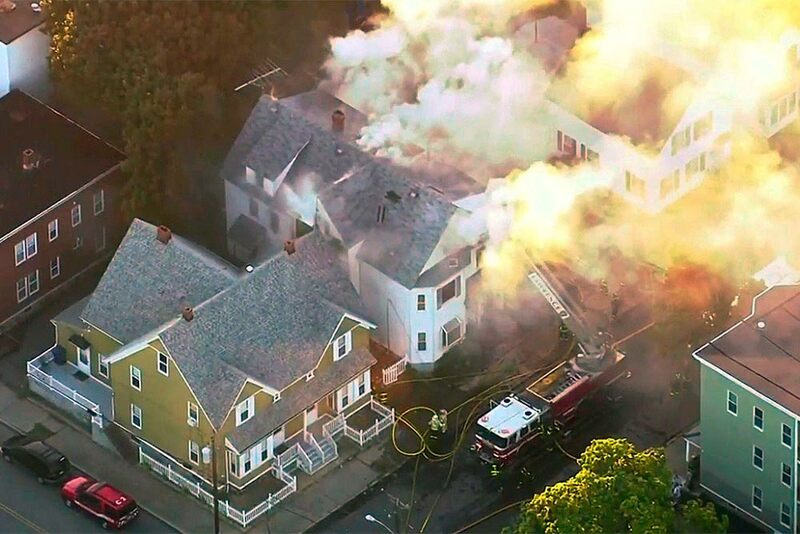 In this image take from video provided by WCVB in Boston, flames consume the roof of a home in Lawrence, Mass, a suburb of Boston. 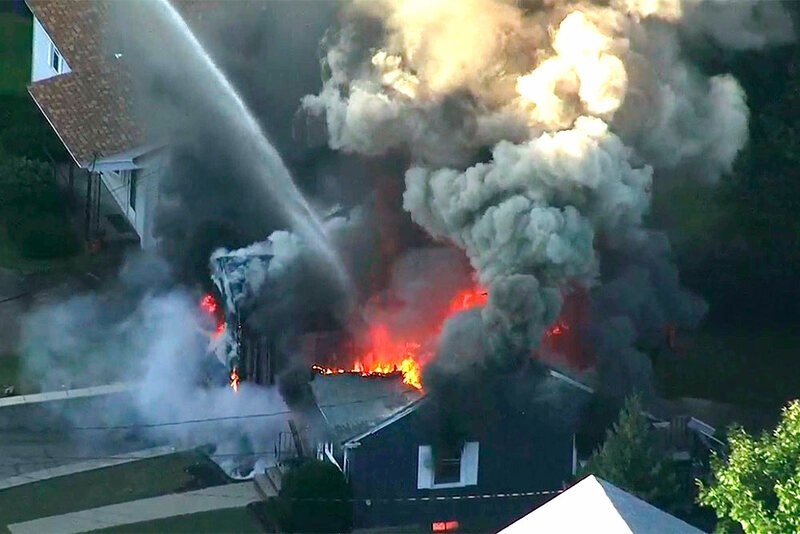 In this image take from video provided by WCVB in Boston, firefighters battle a large structure fire in Lawrence, Mass, a suburb of Boston. 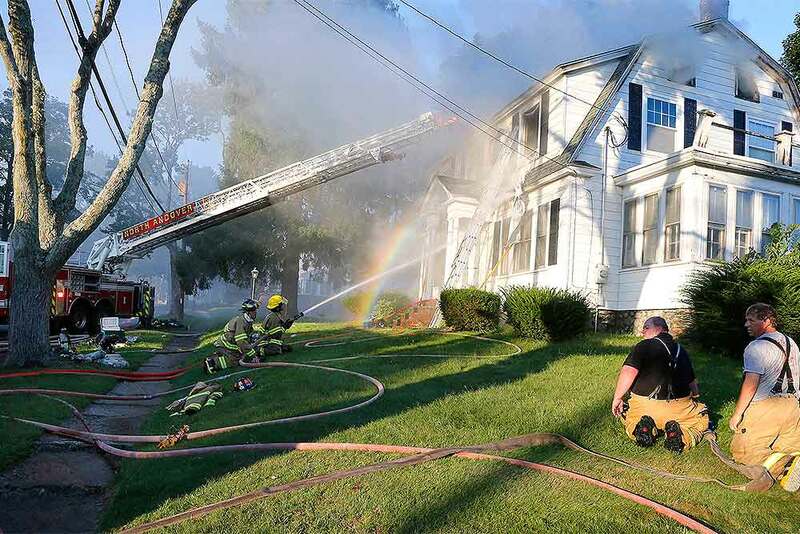 Crews work to knock down a fire in Lawrence, Massachusetts. The company that owns Columbia Gas says its crews are performing safety checks after a series of fires and explosions erupted in three communities north of Boston. Authorities are blaming over-pressurized gas lines and previously told all residents with Columbia Gas service in those areas to evacuate. Bollywood actor Sunny Leone reacts during a promotional event, in Chennai. 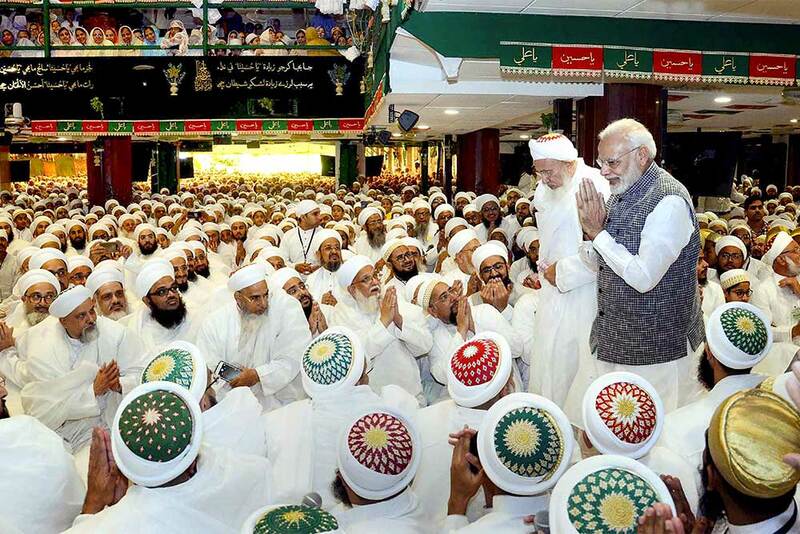 Prime Minister Narendra Modi being welcomed by Syedna Mufaddal Saifuddin, the spiritual head of Dawoodi Bohra community, at the 'Ashura Mubarak' programme in Indore. 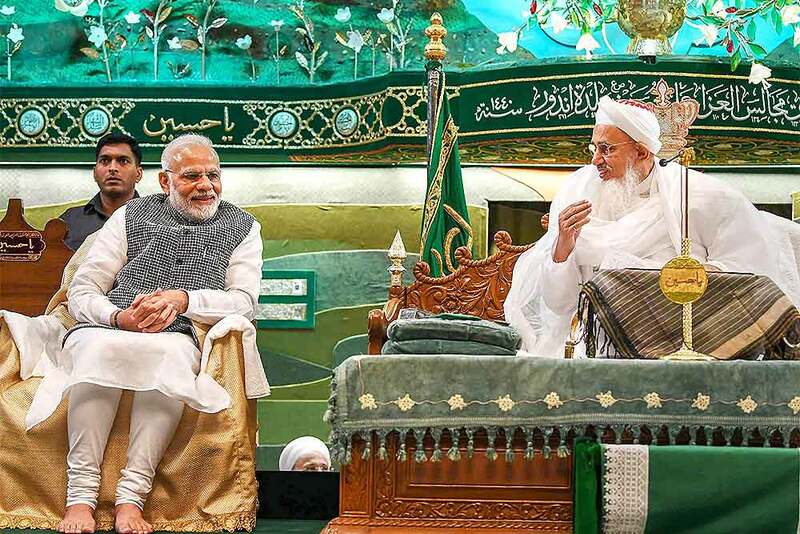 Prime Minister Narendra Modi with Syedna Mufaddal Saifuddin, the spiritual head of Dawoodi Bohra community, at the 'Ashura Mubarak' programme in Indore. Bhim Army chief Chandrashekhar Azad being released from Saharanpur Jail, in Saharanpur. 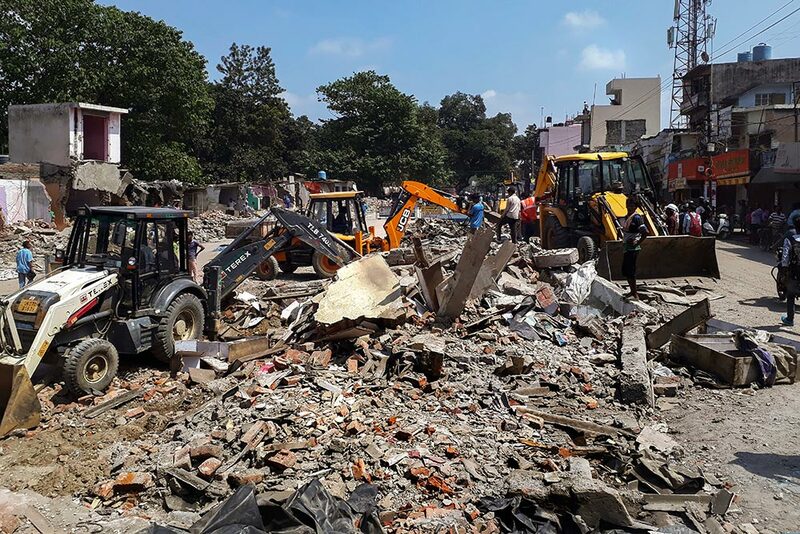 Azad was arrested from Himachal Pradesh's Dalhousie in June last year in connection with the May 5 caste violence in which one person was killed and 16 others were injured at Shabbirpur village in Saharanpur. 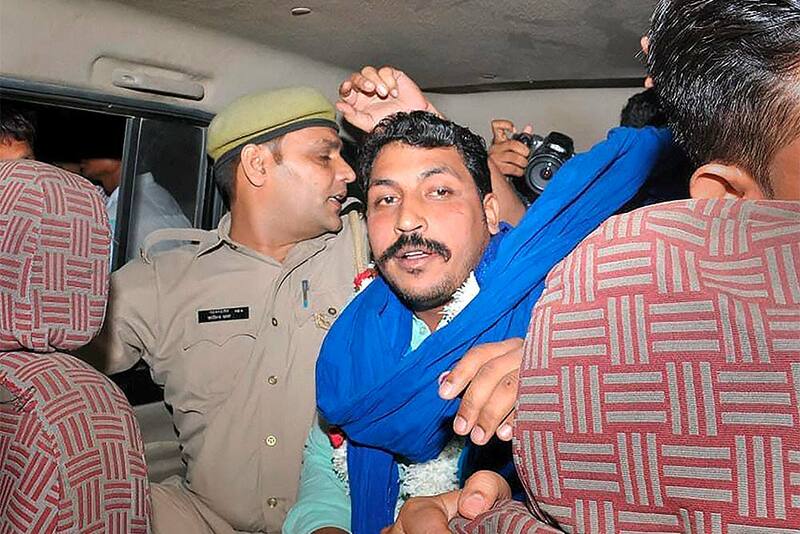 Bhim Army chief Chandrashekhar Azad after being released from Saharanpur Jail, in Saharanpur. 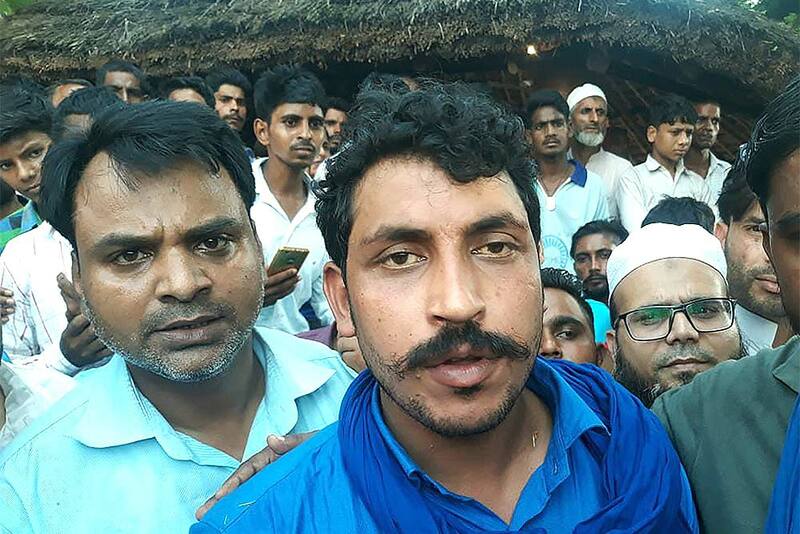 Azad was arrested from Himachal Pradesh's Dalhousie in June last year in connection with the May 5 caste violence in which one person was killed and 16 others were injured at Shabbirpur village in Saharanpur. 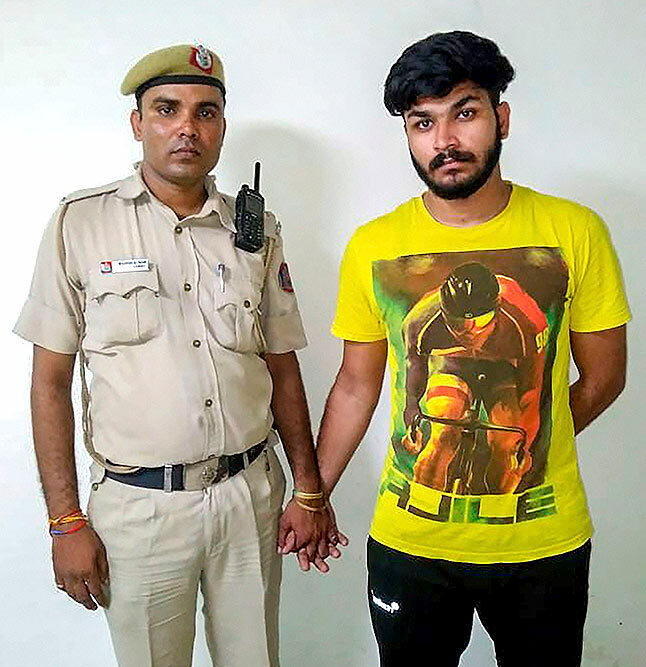 A Delhi cop's son Rohit Tomar, who was seen beating up a girl in a video that went viral, in police custody in New Delhi. 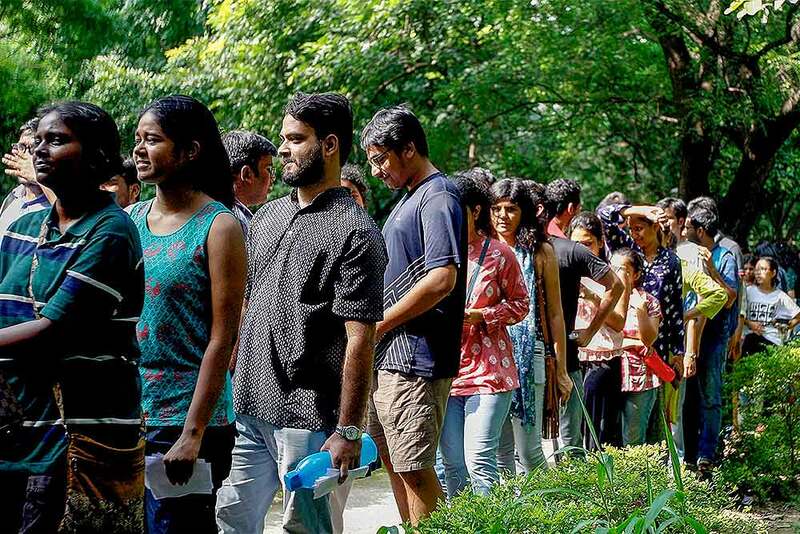 Jawaharlal Nehru University (JNU) students wait to place their votes during the students' union polls, in New Delhi. Andhra Pradesh Chief Minister N Chandrababu Naidu offers prayers at Mallikarjunaswamy Temple at Srisailam, in Kurnool. 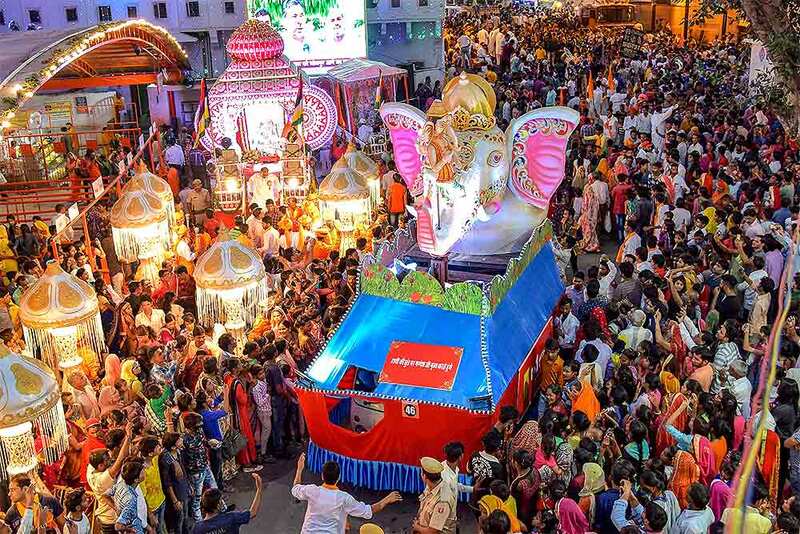 People participate in a procession of Lord Ganesh during Ganesh Chaturthi festival, in Jaipur. 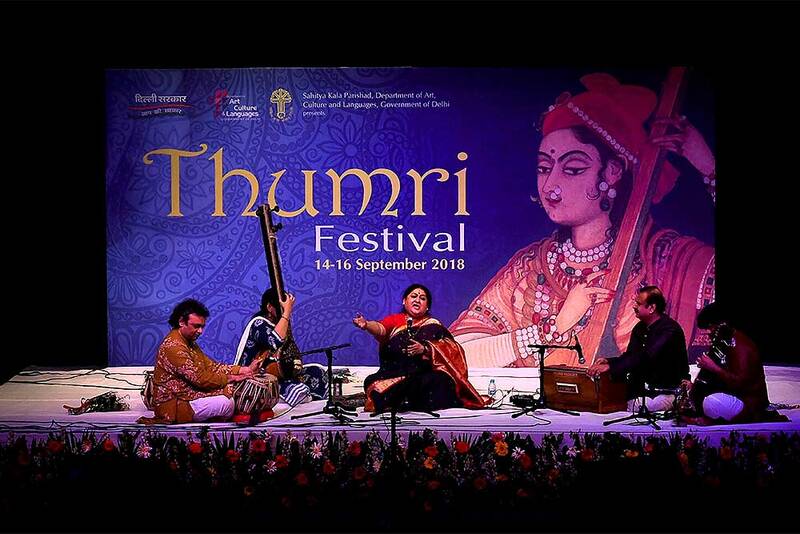 Indian classical singer Shubha Mudgal performs at 'Thumri Festival', in New Delhi.